Fearn Abbey. 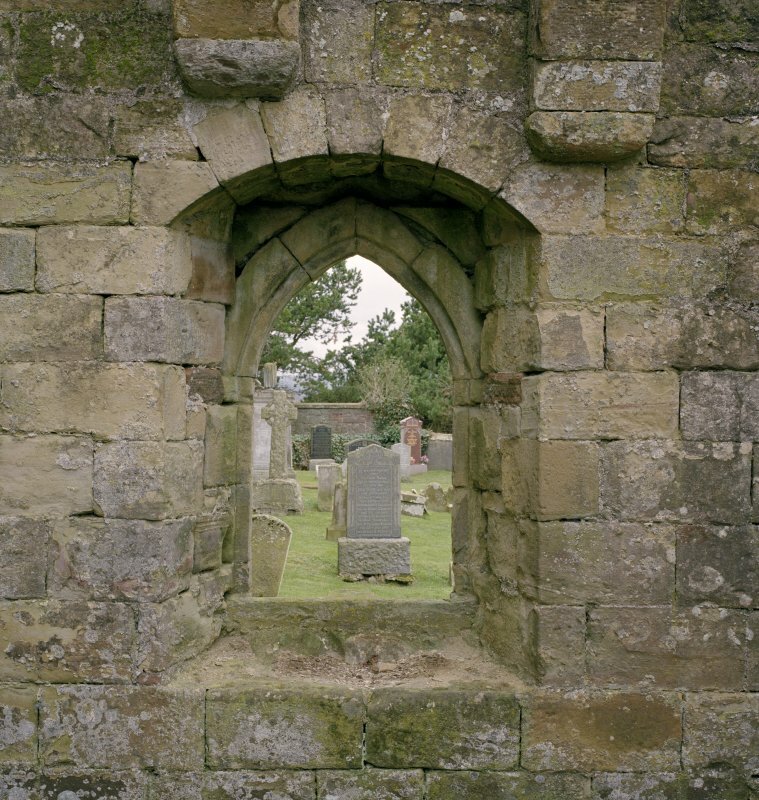 Ross aisle, view of East window from South East. Fearn Abbey. View from North. Fearn Abbey. South East aisle, view from West. 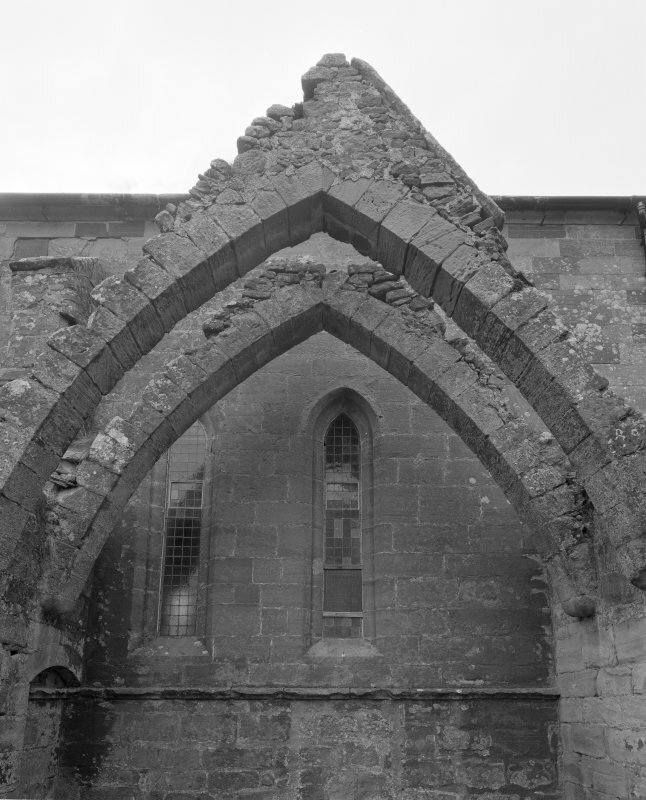 Fearn Abbey, interior. View from West. Fearn Abbey. Ross aisle, detail of East window from West. Fearn Abbey. 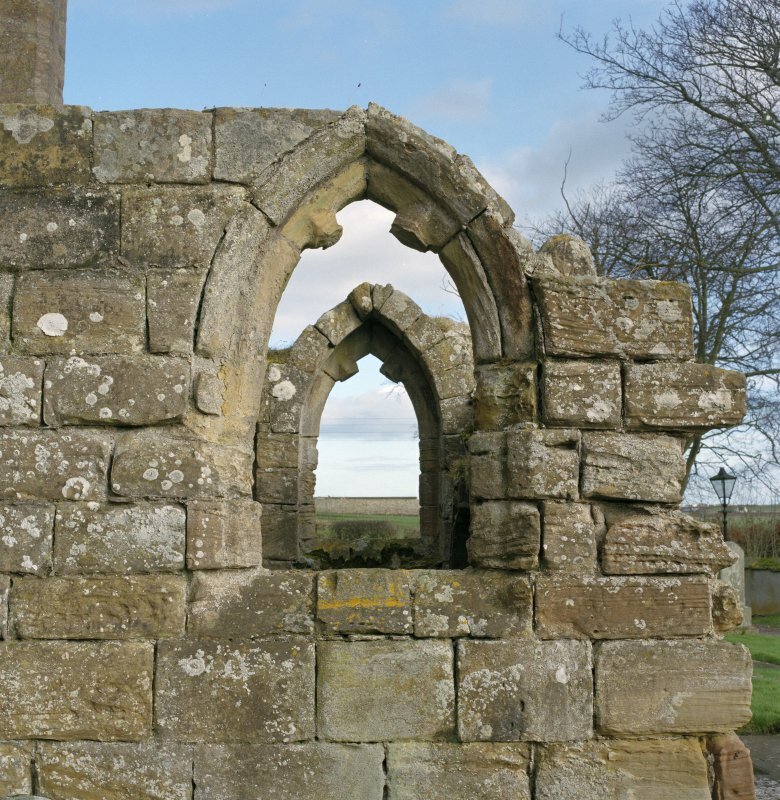 Ross aisle, detail of West window from East. Fearn Abbey. 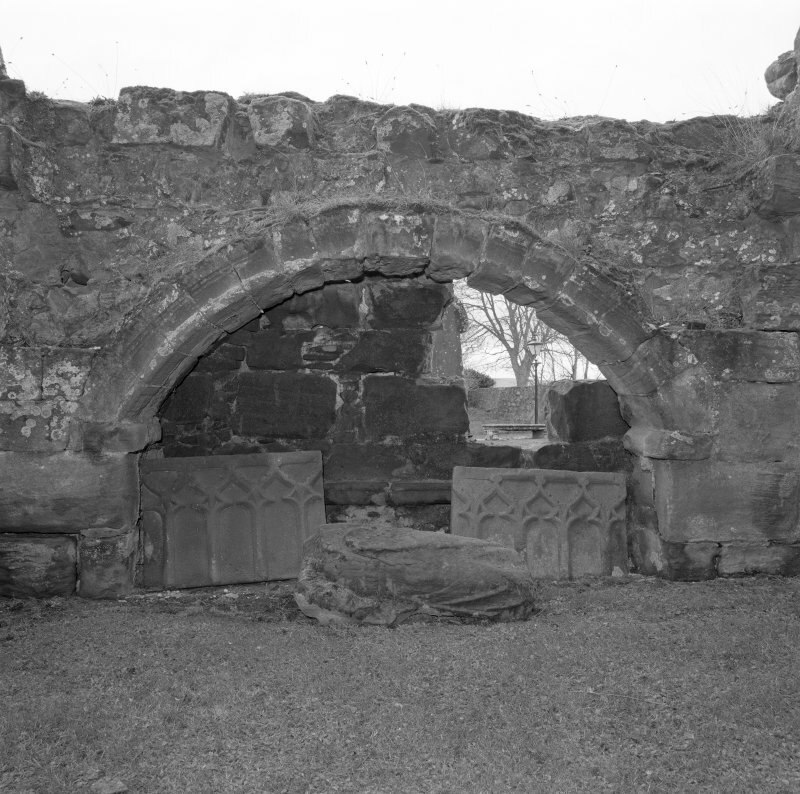 South East aisle, view of doorway from East. Fearn Abbey. 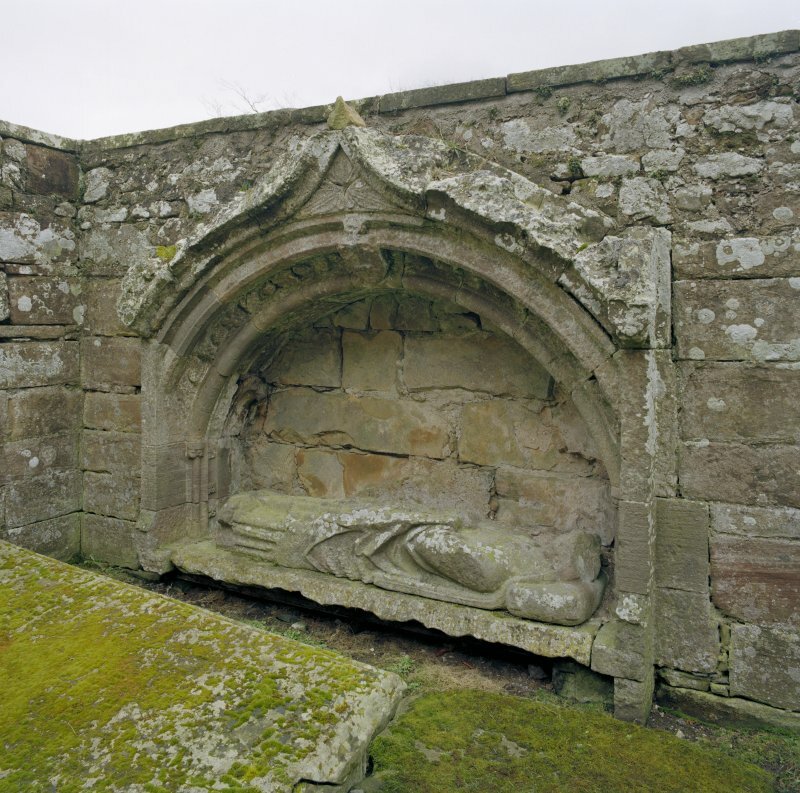 St. Michael's aisle, view of mural tomb with effigy of Abbot Finlay (d.1385) set into South wall. Fearn Abbey. 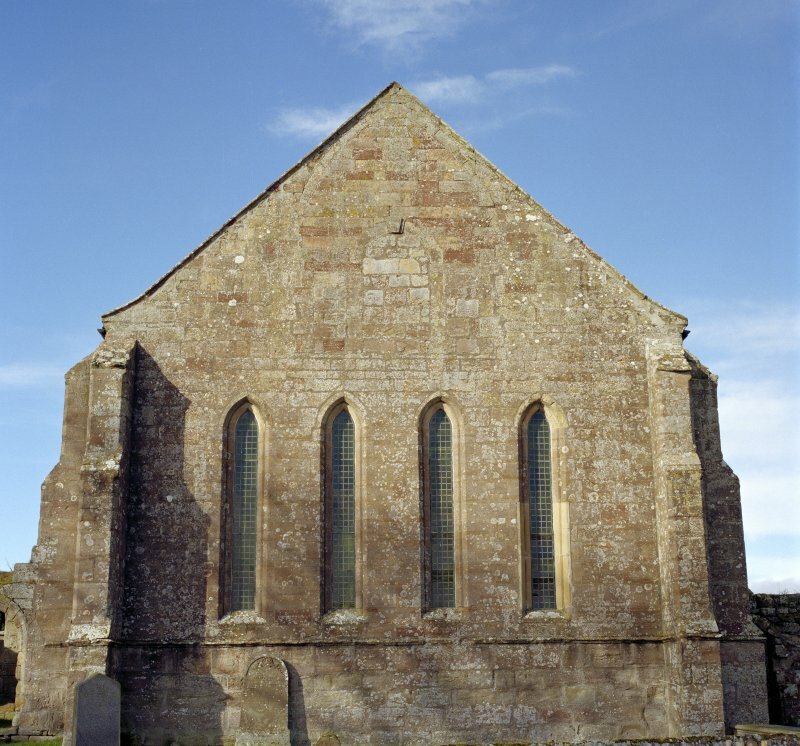 View of St. Michael's aisle from South West. Fearn Abbey. 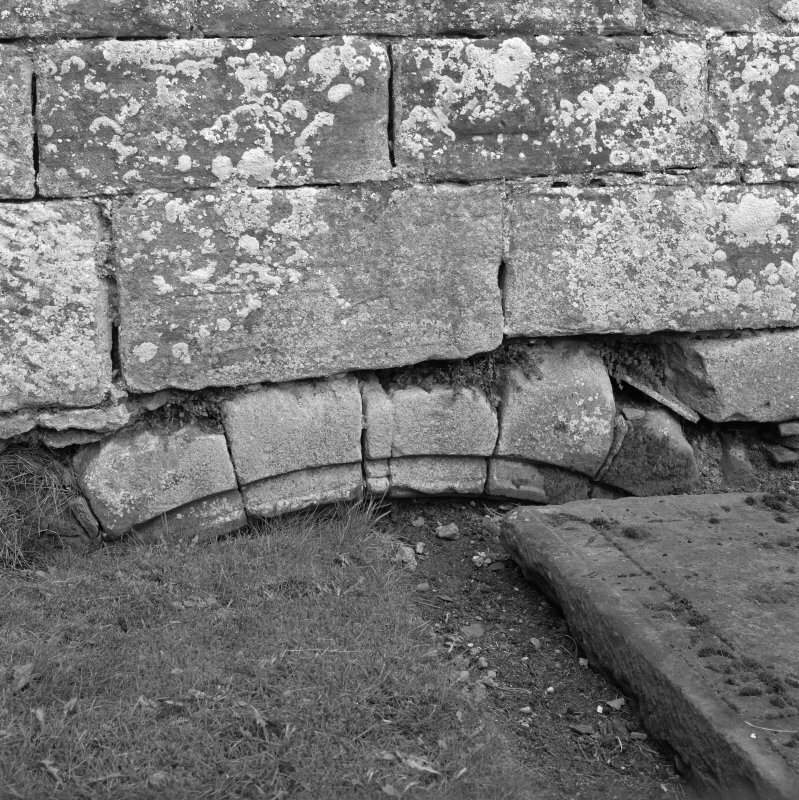 Detail of blocked doorway in North wall. Fearn Abbey. 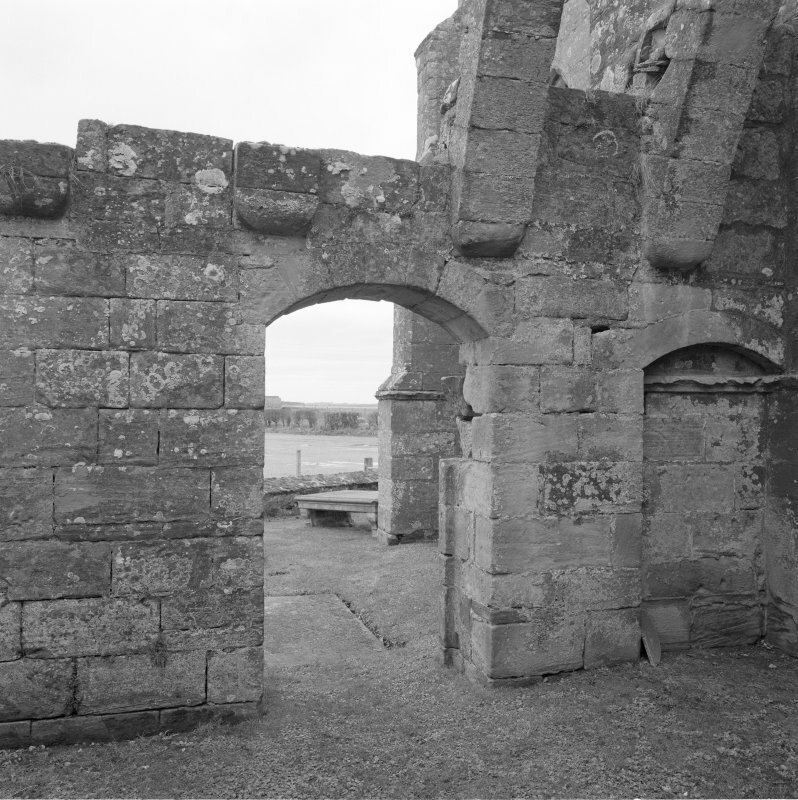 View of North wall showing blocked doorway. 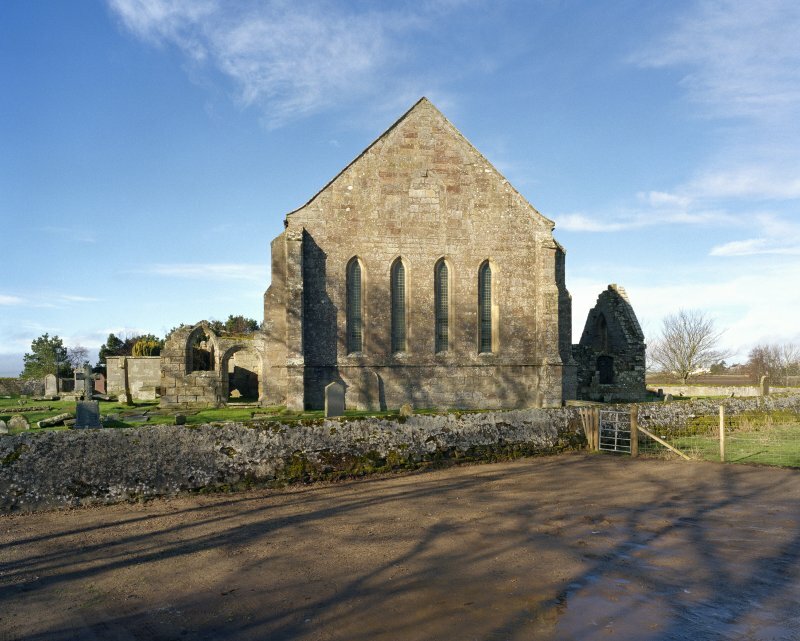 Fearn Abbey. 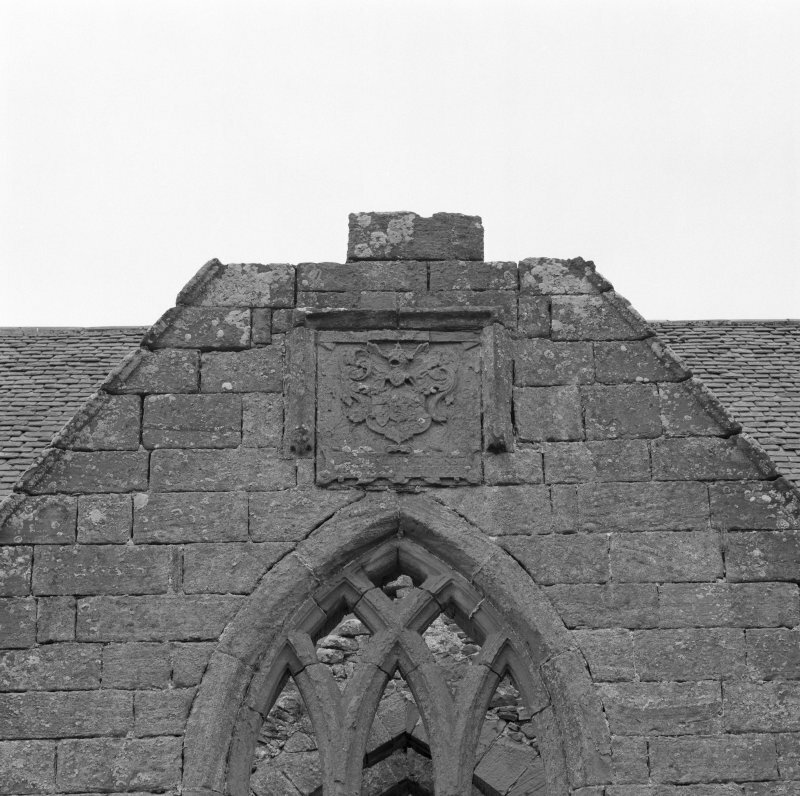 Detail of East gable showing blocked venetian window. 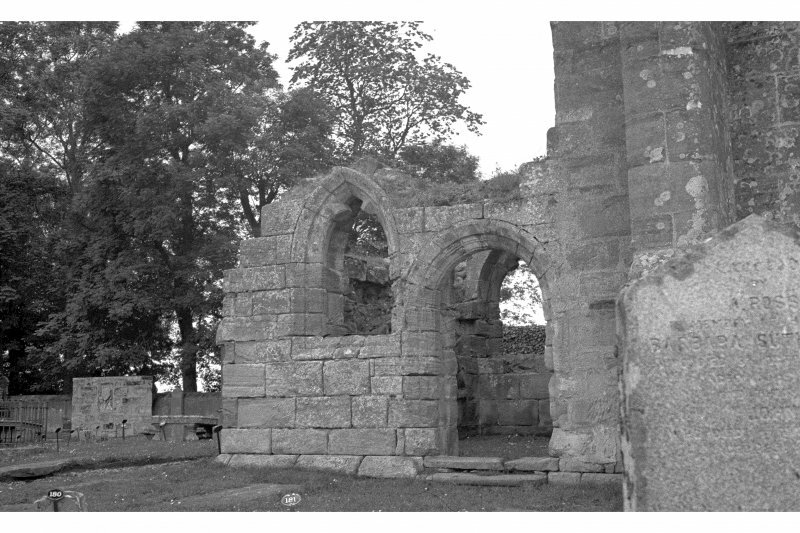 Fearn Abbey, interior. 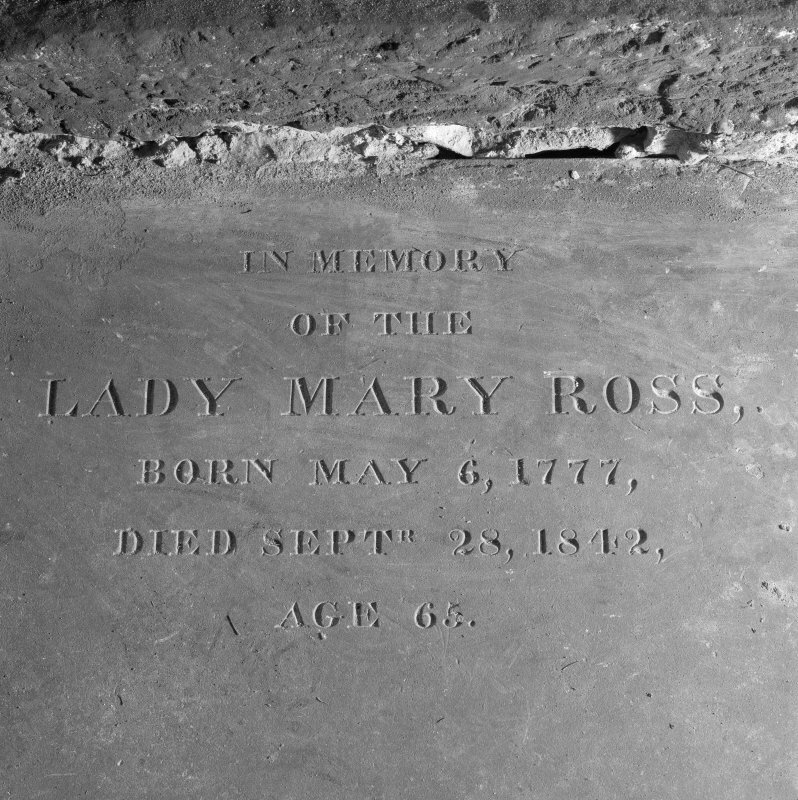 Detail of inscription on tomb slab of Lady Mary Ross. 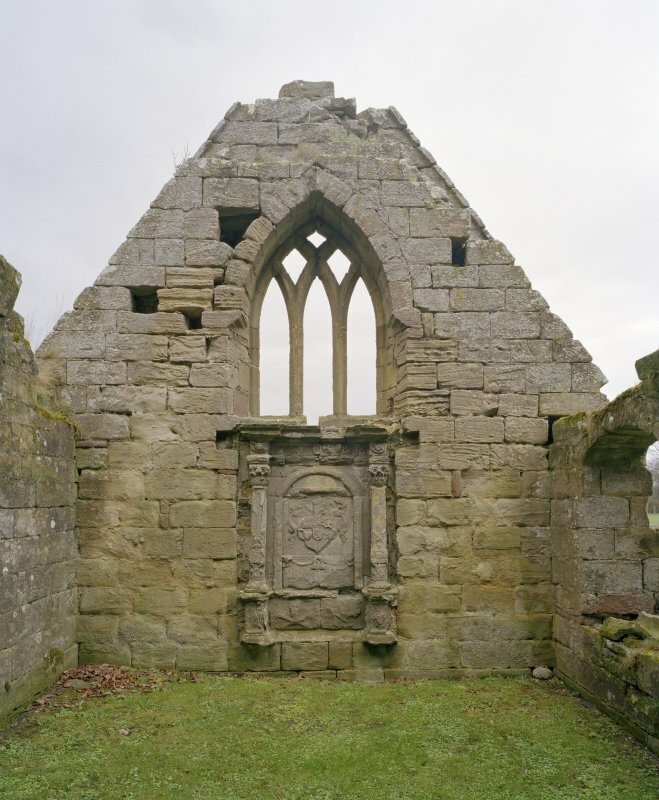 Fearn Abbey, interior. Detail of piscina. 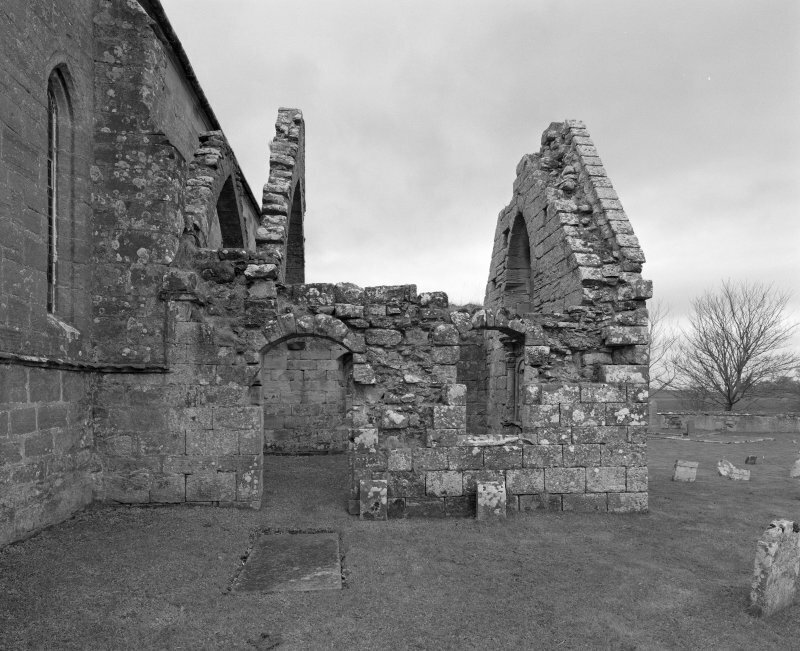 Fearn Abbey, interior. 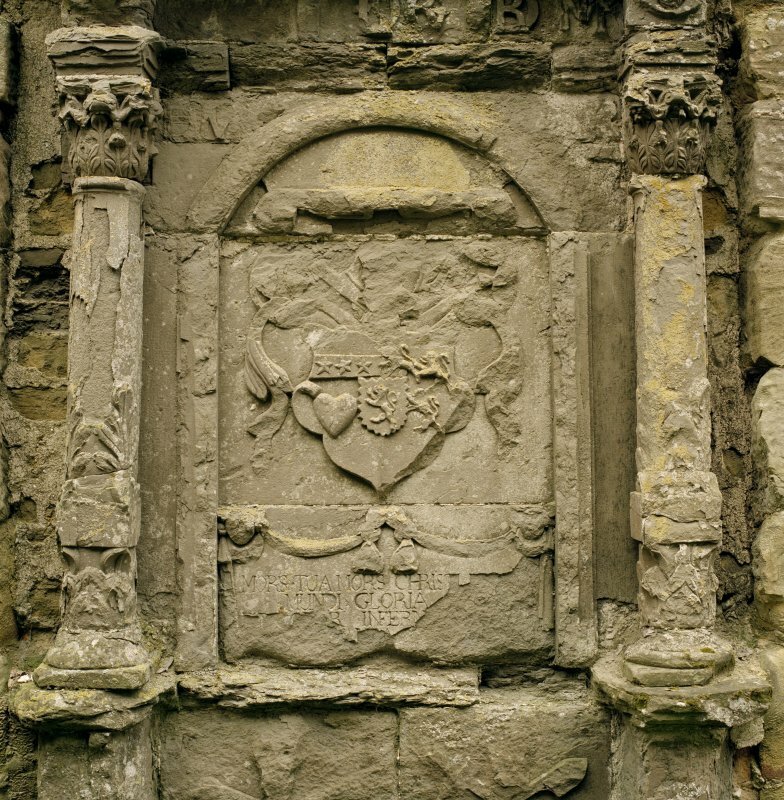 Detail of Coat of Arms on Ross monument. 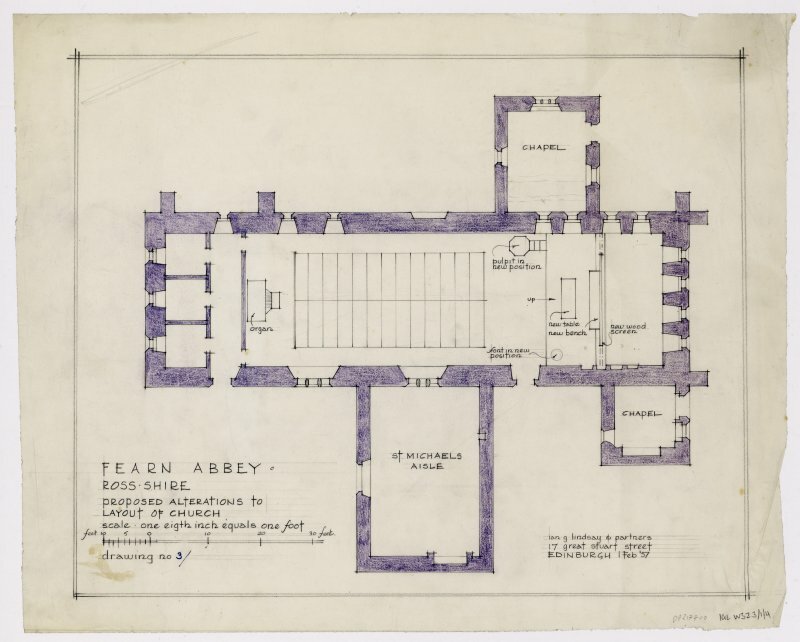 Fearn Abbey. 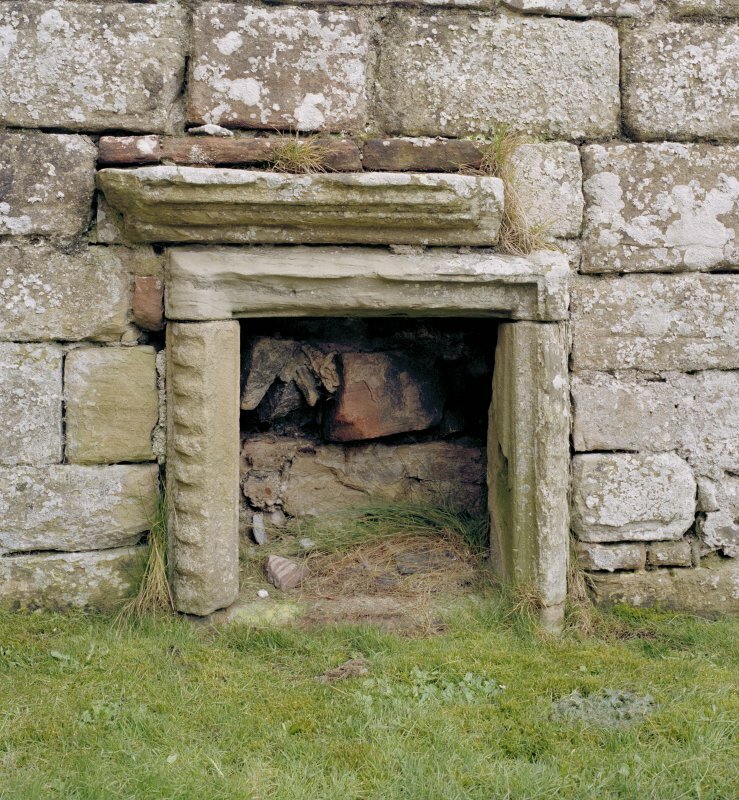 Ross aisle, view of doorway from North West. Fearn Abbey. 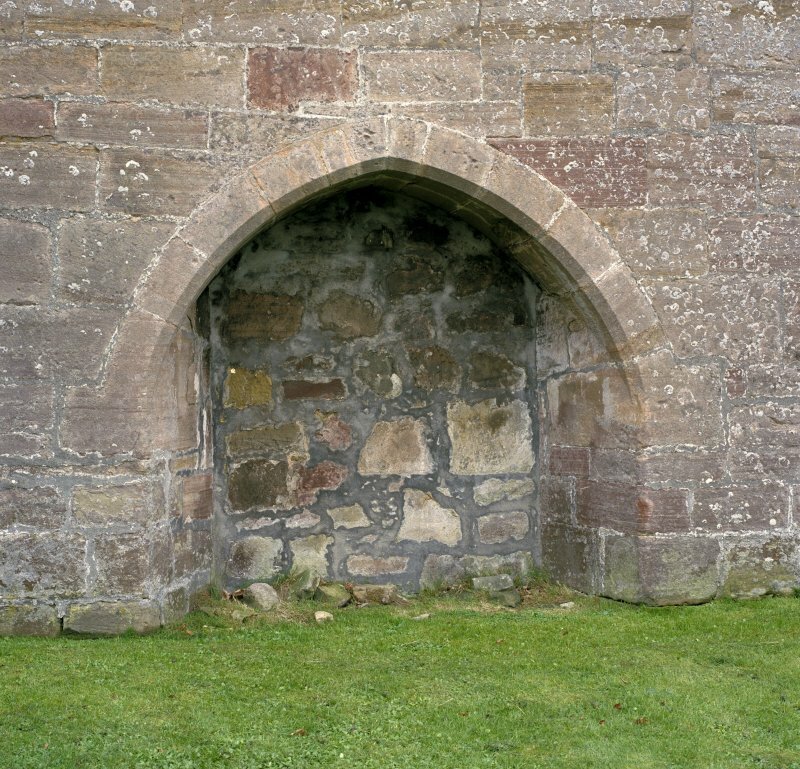 Ross aisle, view of vaulting ribs from North. Fearn Abbey. 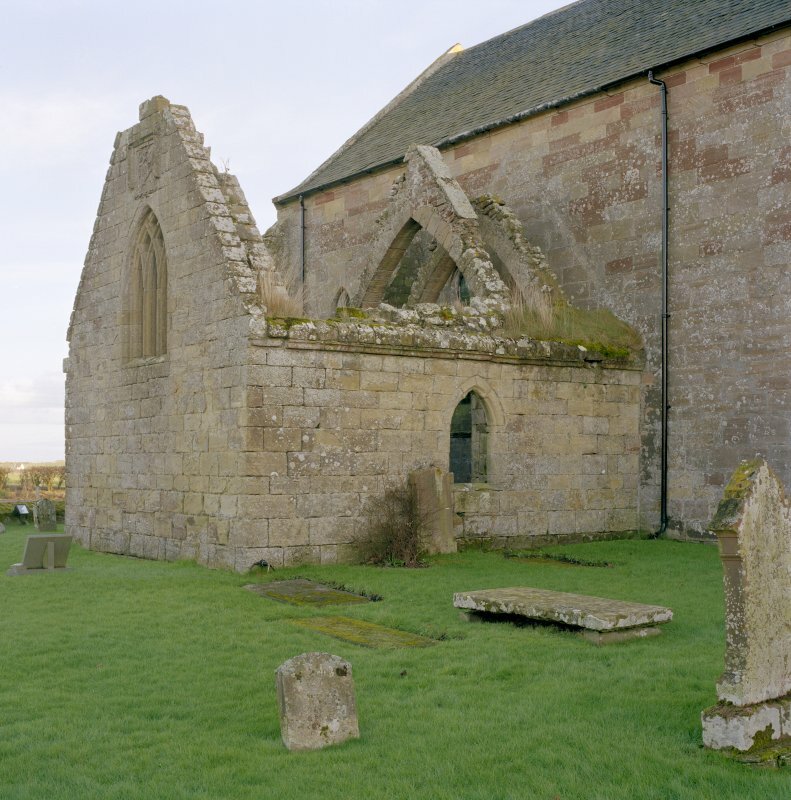 Ross aisle, view from East. Fearn Abbey, interior. View from North West. Fearn Abbey. St. Michael,s aisle, detail of carved panel on West wall. Fearn Abbey. View from North West. Fearn Abbey. View from South East. Fearn Abbey, interior. 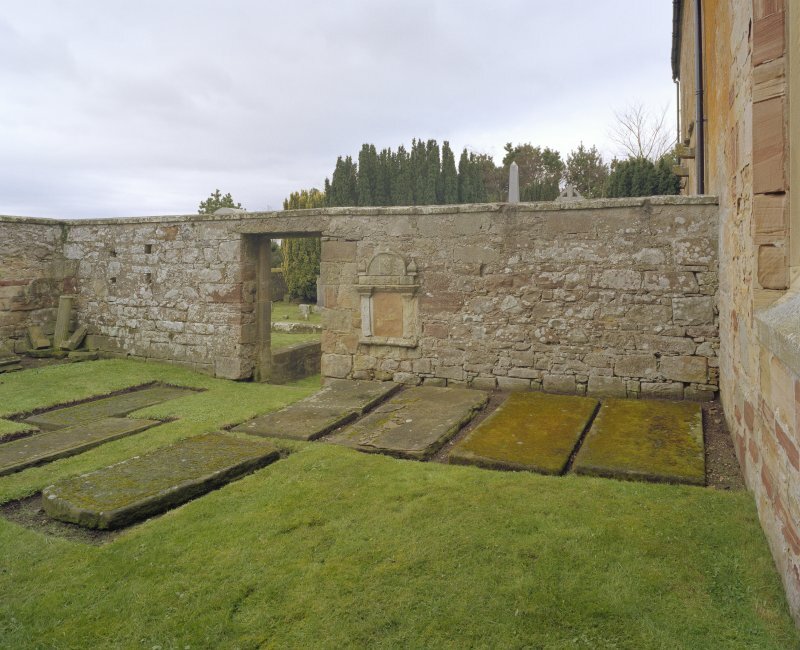 Detail of tomb slabs in North East corner of church. Fearn Abbey, interior. 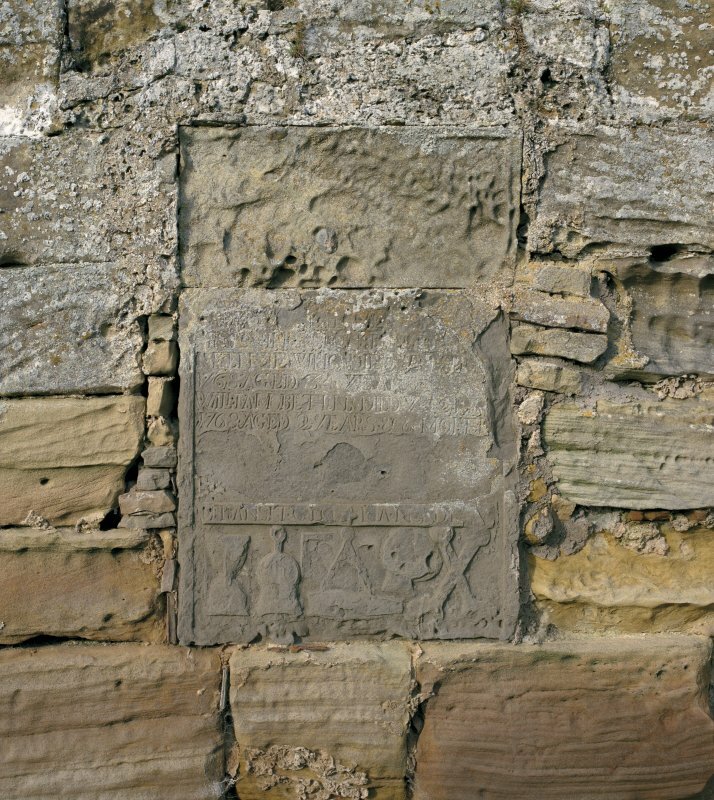 Detail of Coat of arms on monument on East wall. Fearn Abbey, interior. Detail of monument to Sir David Ross. 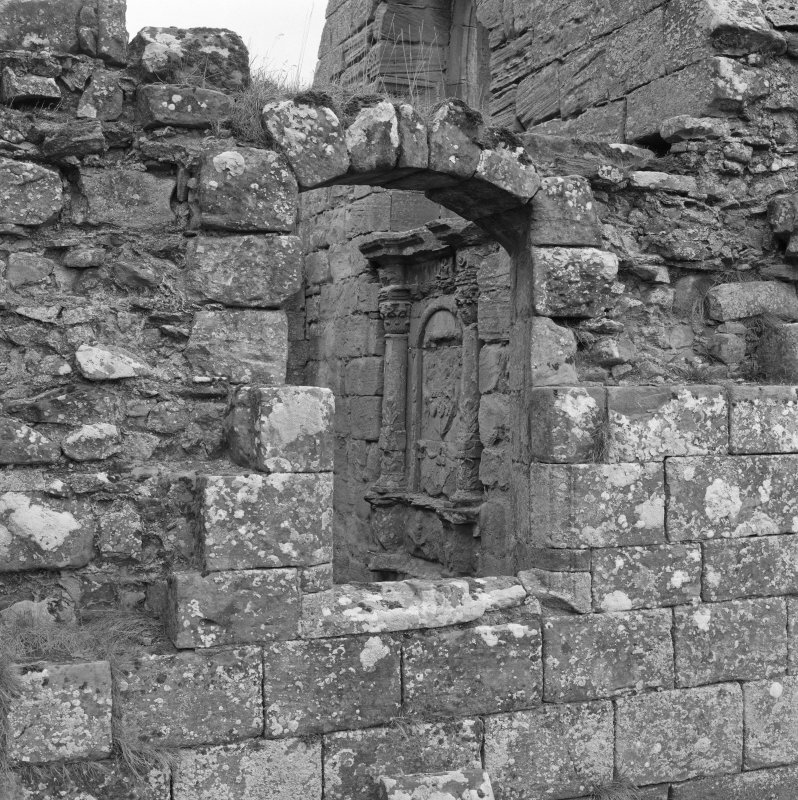 Fearn Abbey, interior. 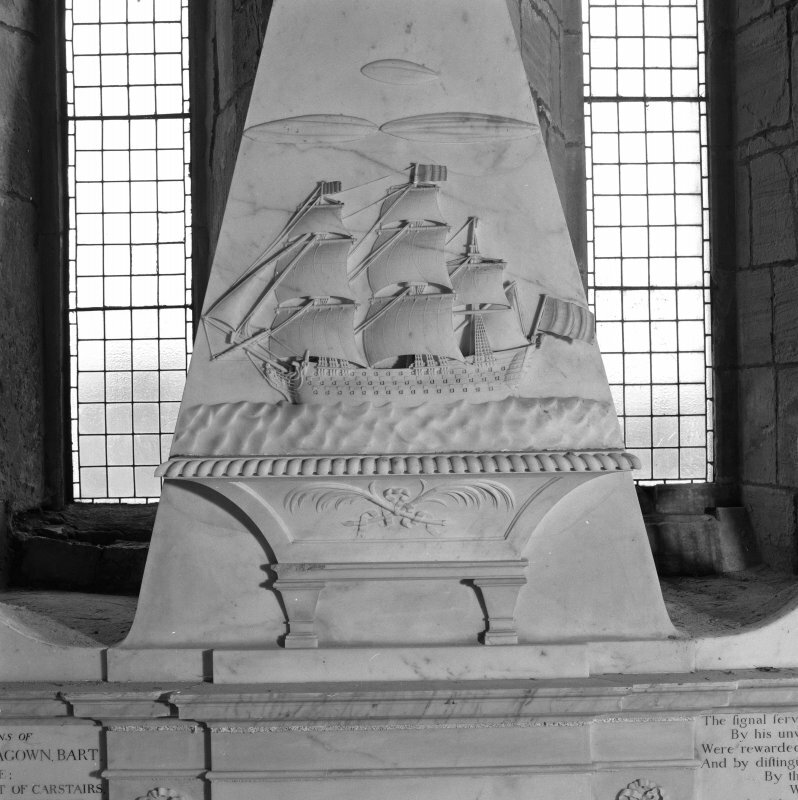 Detail of square-rigged ship on Ross monument. 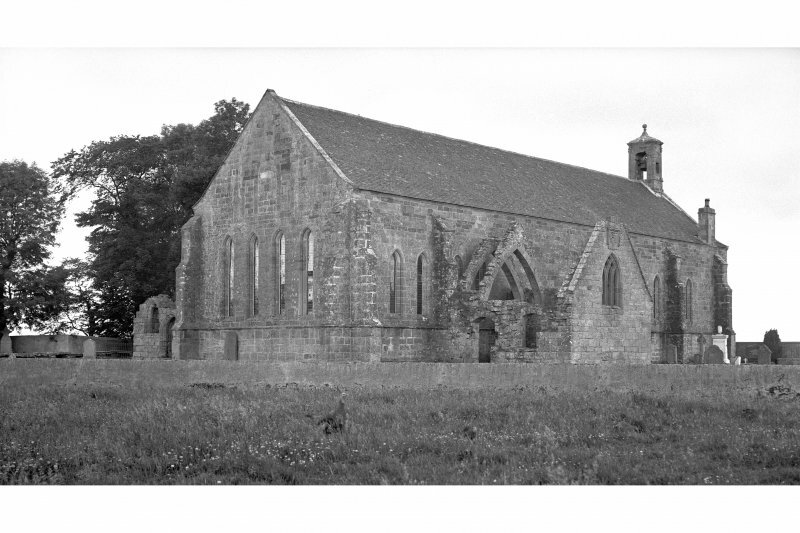 Fearn Abbey - Copy of earlier photograph on glass. Fearn Abbey. St. Michael's aisle, view of interior from North West. Fearn Abbey. South East aisle, view of East window from East. Fearn Abbey. 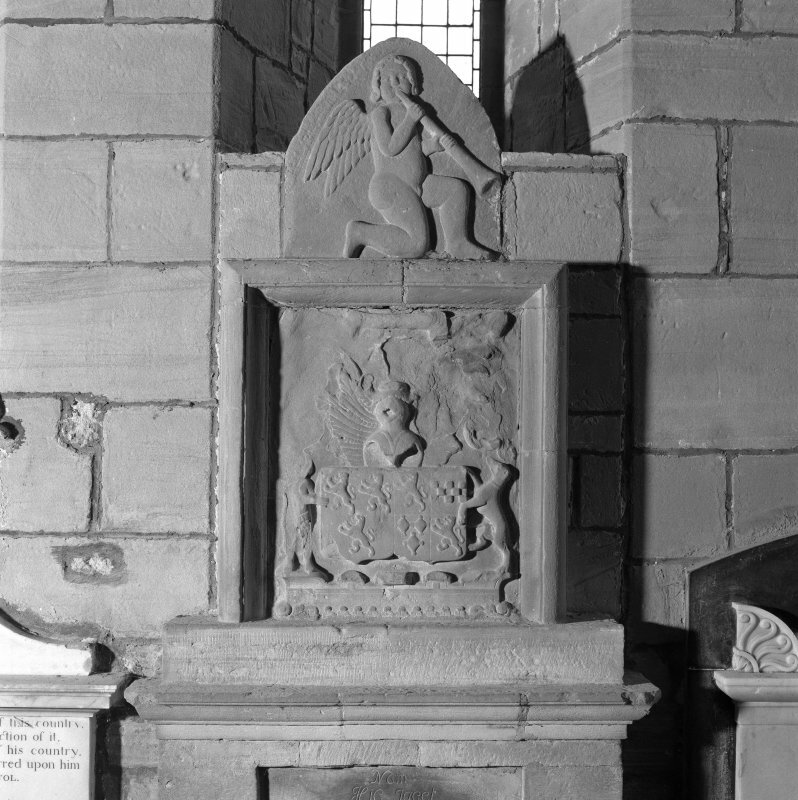 St. Michael's aisle, detail of aumry on East wall. Fearn Abbey. St. Michael's aisle, view of interior from North. Fearn Abbey. View from East South East. Fearn Abbey. 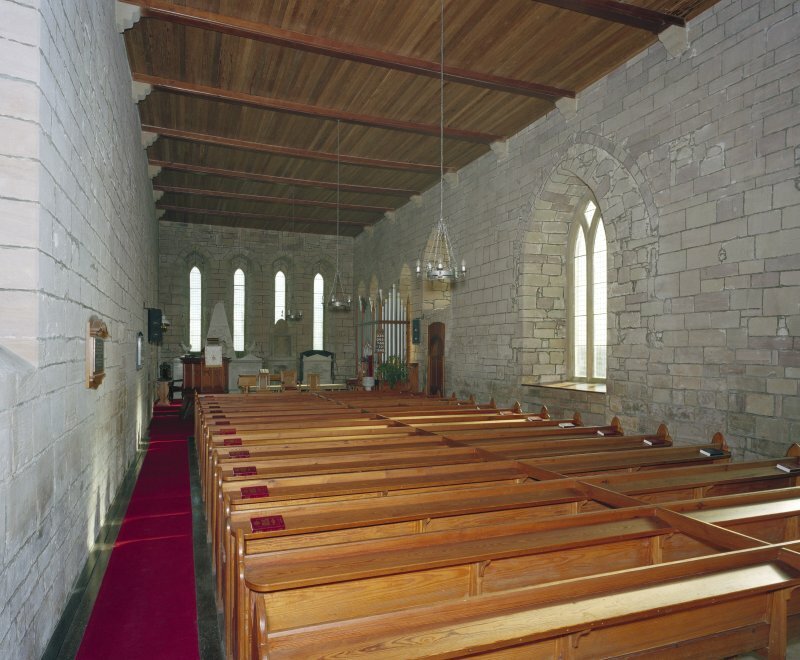 Ross aisle, view of interior from North West. Fearn Abbey. 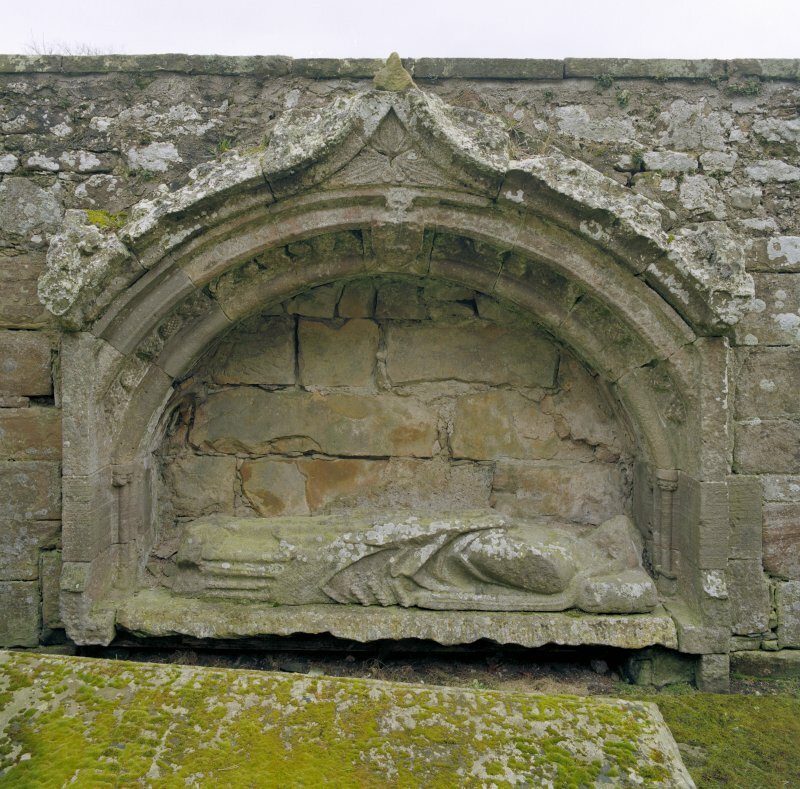 St. Michael's aisle, detail of relieving arch. Fearn Abbey. 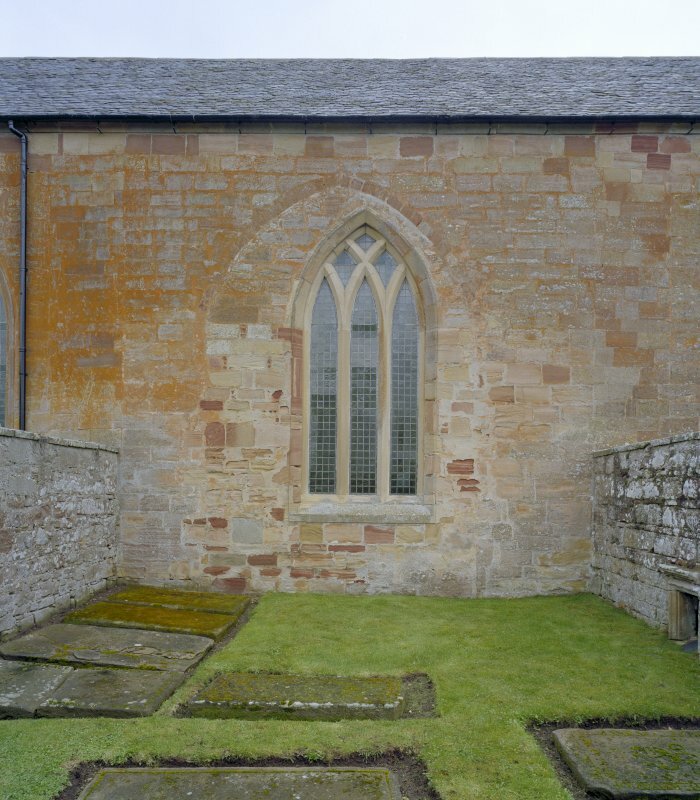 St. Michael's aisle, view from South showing traceried window and blocked arch. Fearn Abbey. 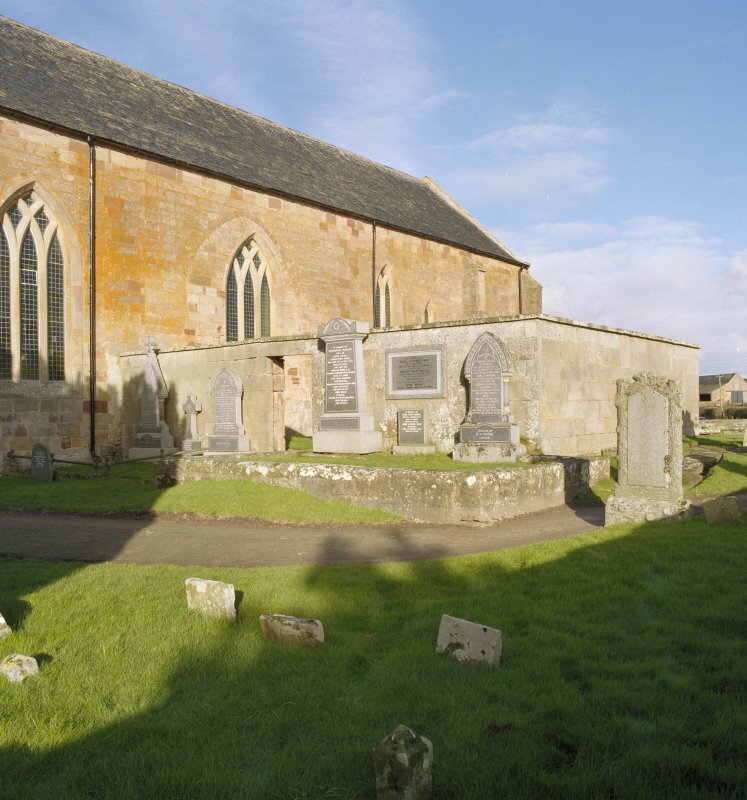 Ross aisle, view from South showing Ross monument with traceried window above. Fearn Abbey. South East aisle, view from East. Fearn Abbey. 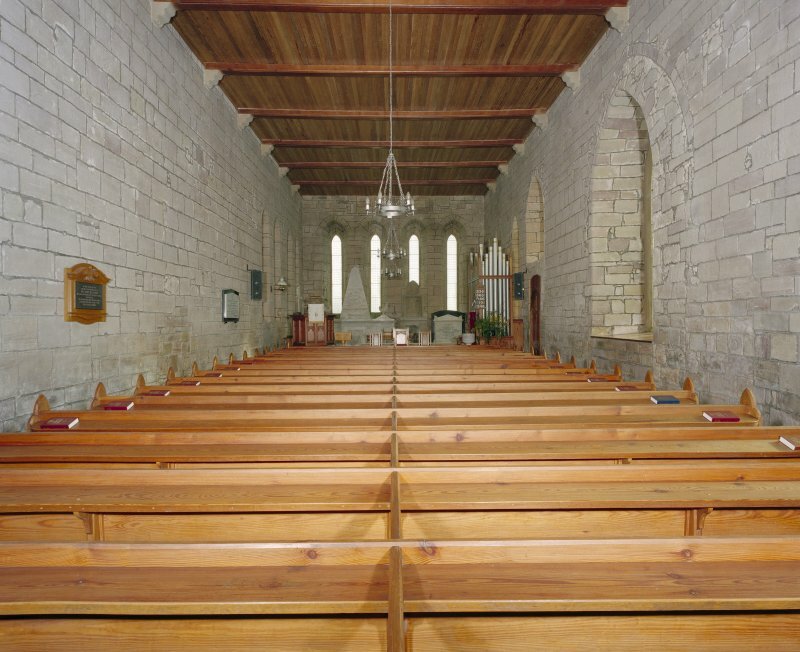 St. Michael's aisle, view of interior from North East. Fearn Abbey. 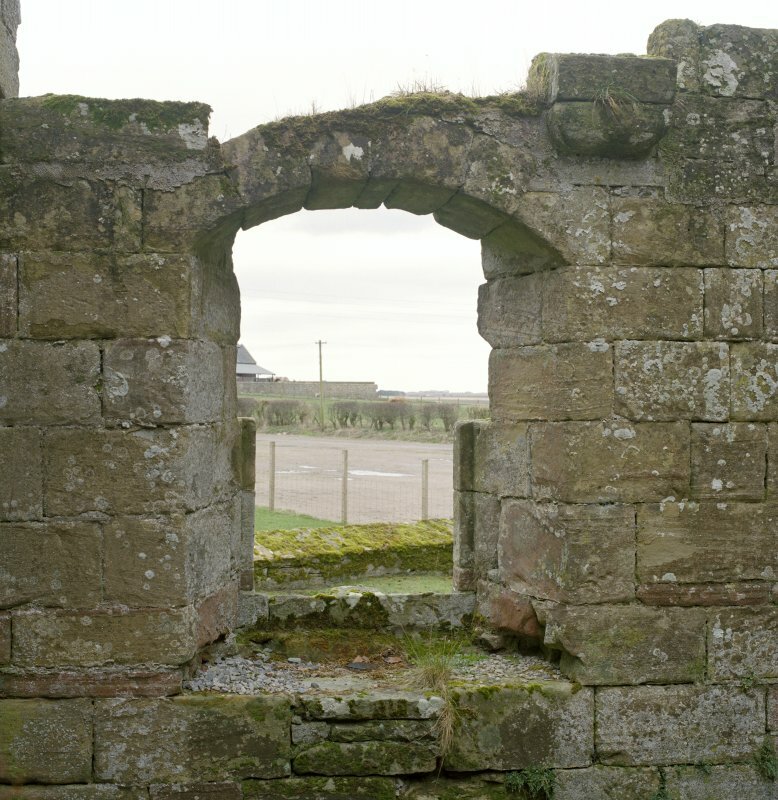 View of traceried window in South wall. Fearn Abbey. View from South. 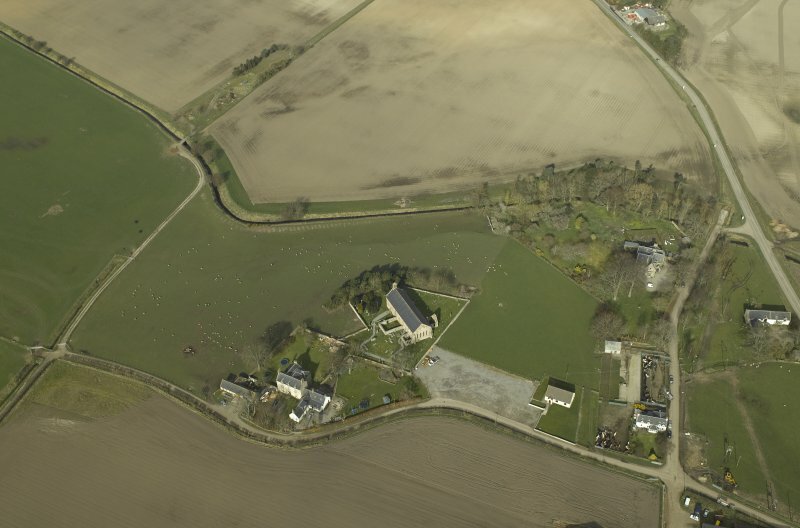 Oblique aerial view centred on the church, burial-ground and the manse, taken from the SE. Fearn Abbey, interior. 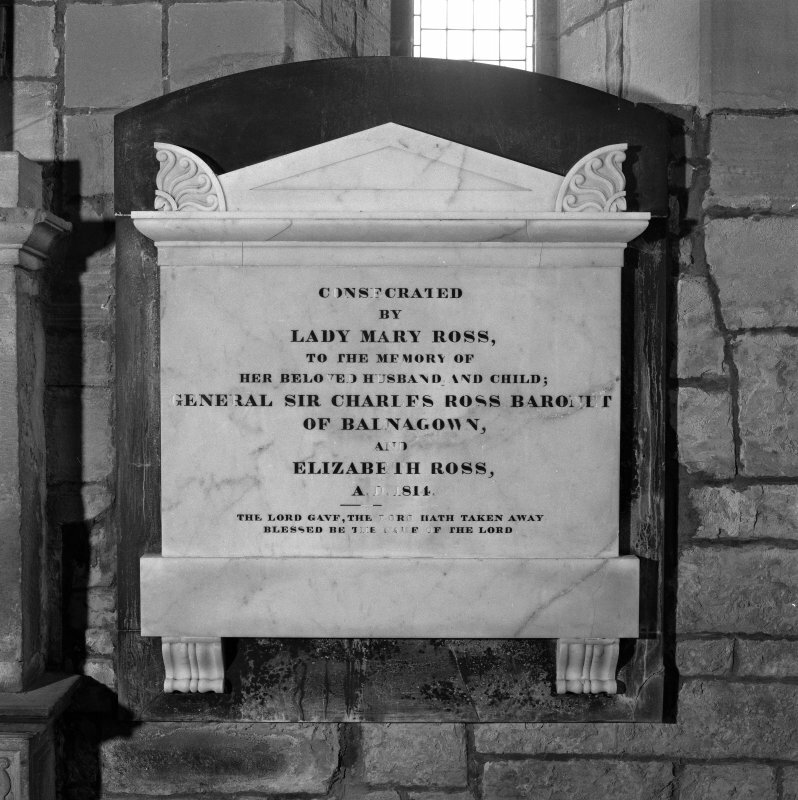 Detail of monument to Sir John Lockhart Ross. 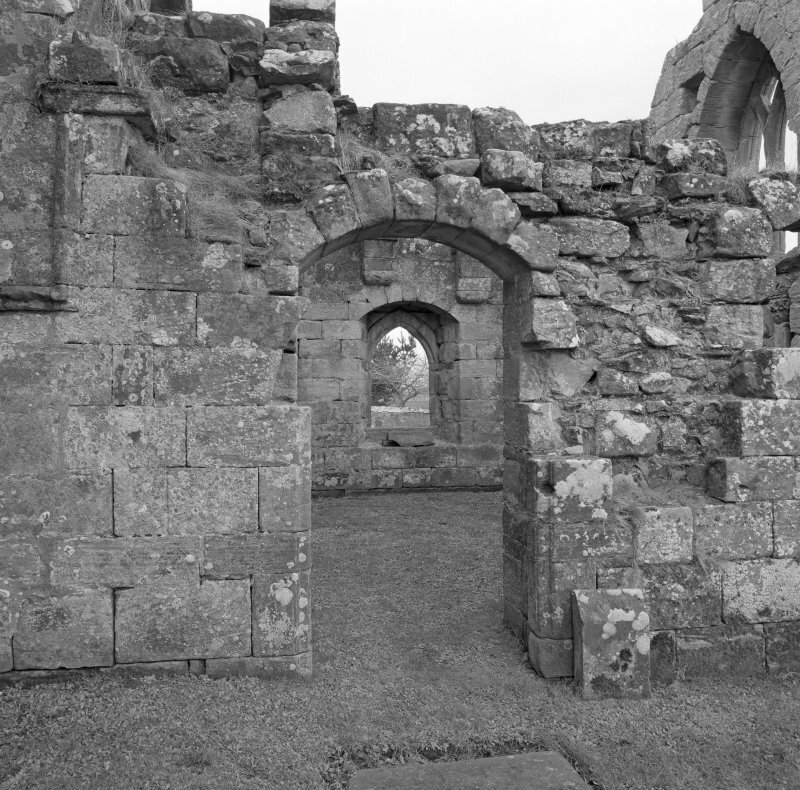 Fearn Abbey, interior. 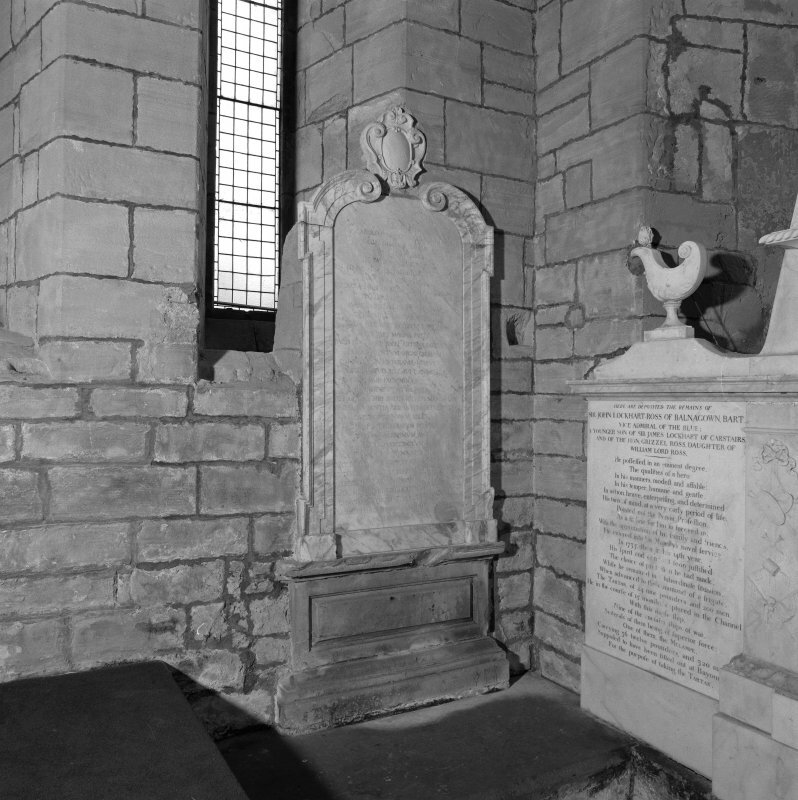 View of Ross monument, East wall of church. Fearn Abbey. 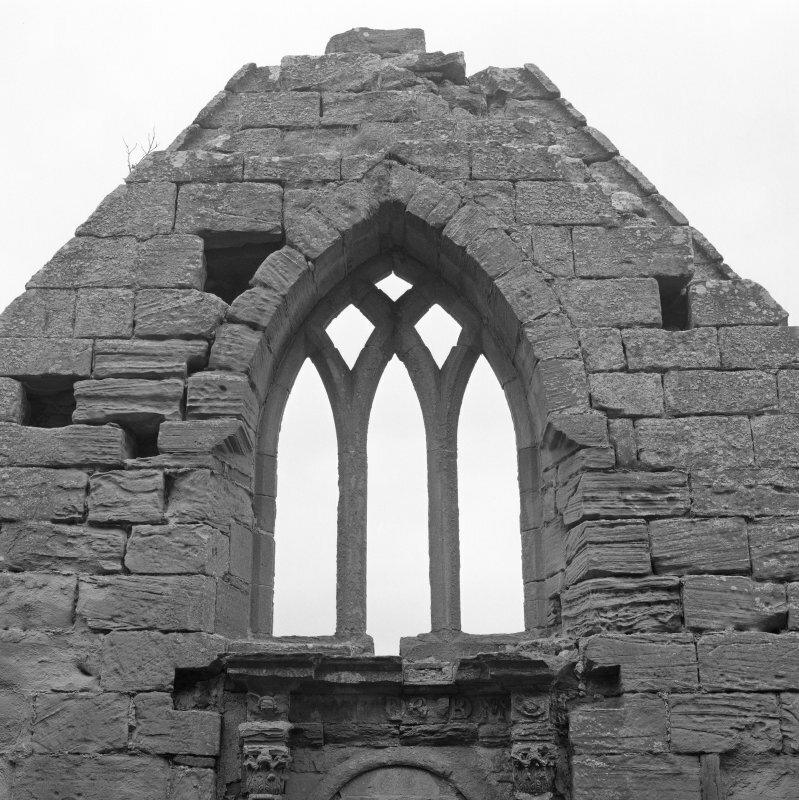 South East aisle, detail of West window from East. Fearn Abbey. South East aisle, view of interior from West. 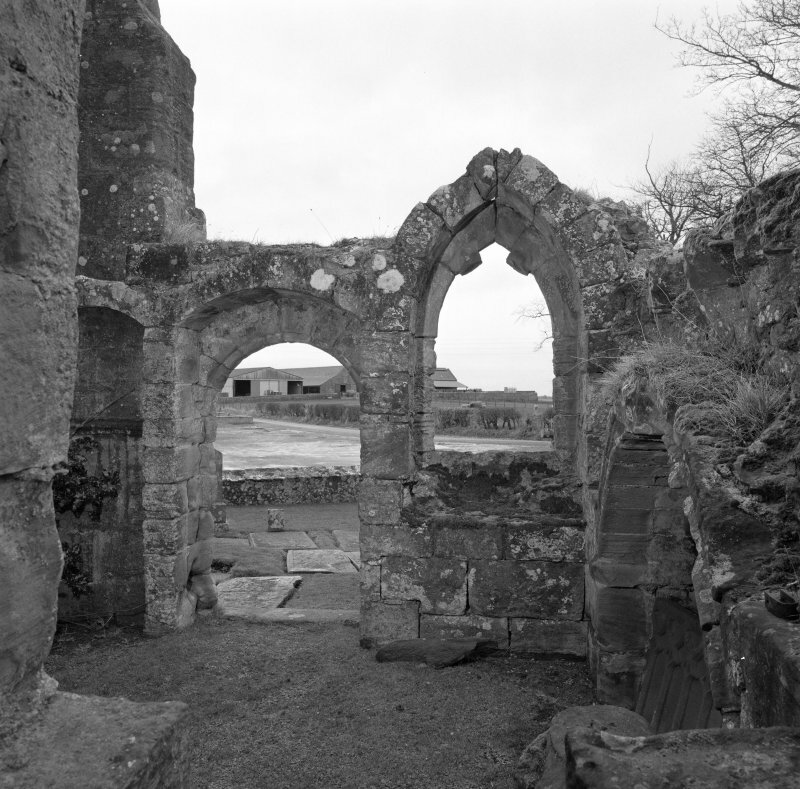 Fearn Abbey, interior. 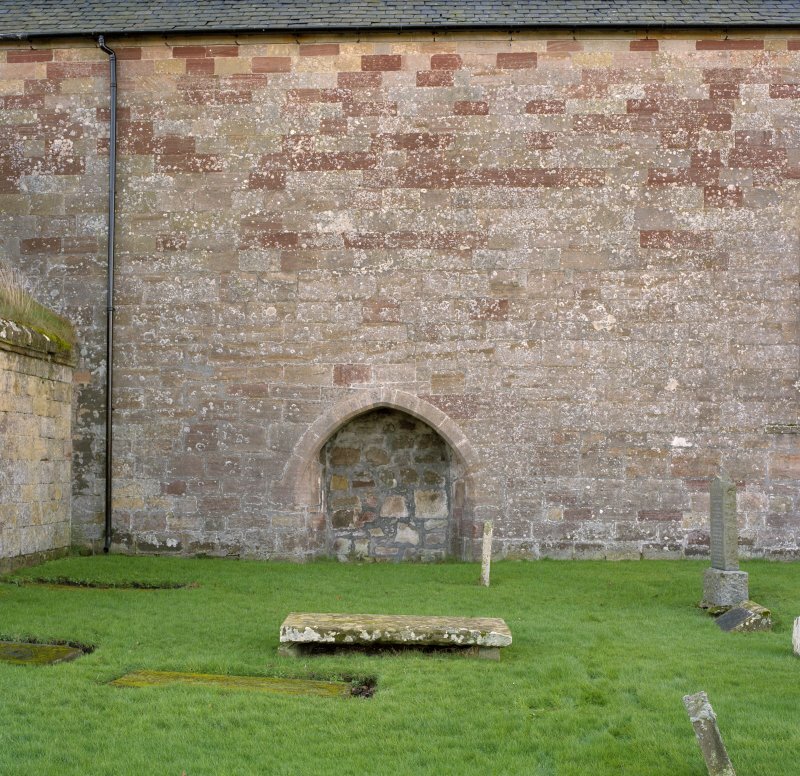 View of East wall from West. Fearn Abbey. 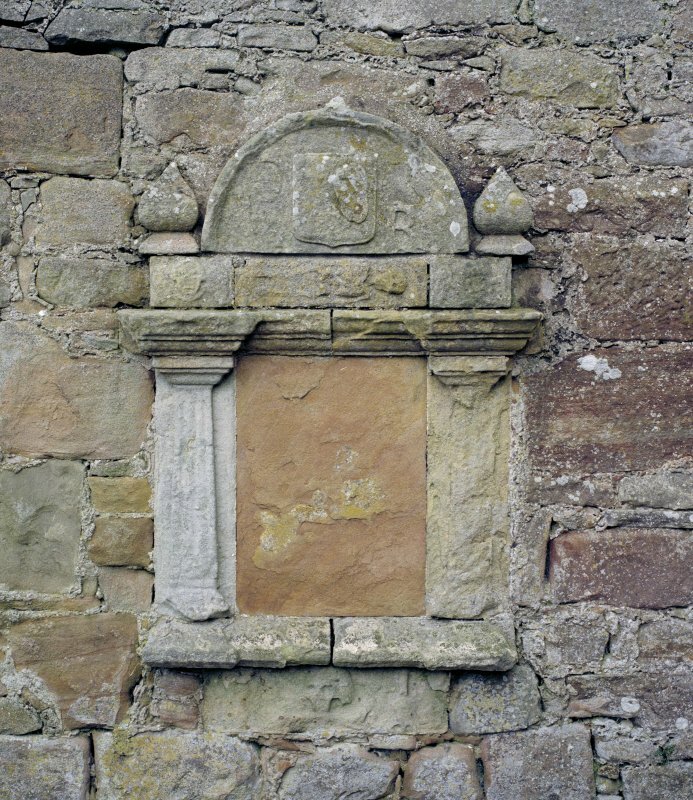 Ross aisle, detail of central panel of mural monument on North wall. Fearn Abbey. 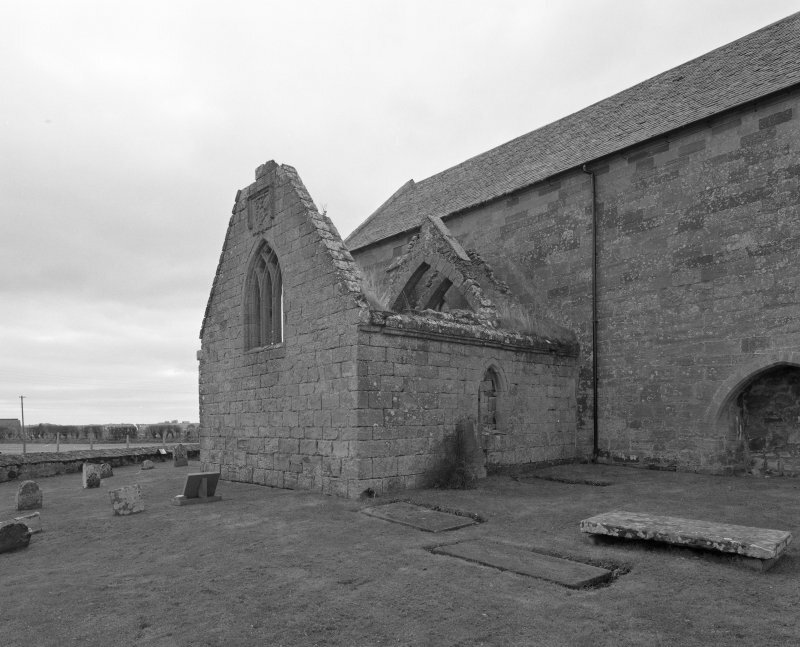 Ross aisle, view from North West. Fearn Abbey. South East aisle, detail of carved panel on South wall. 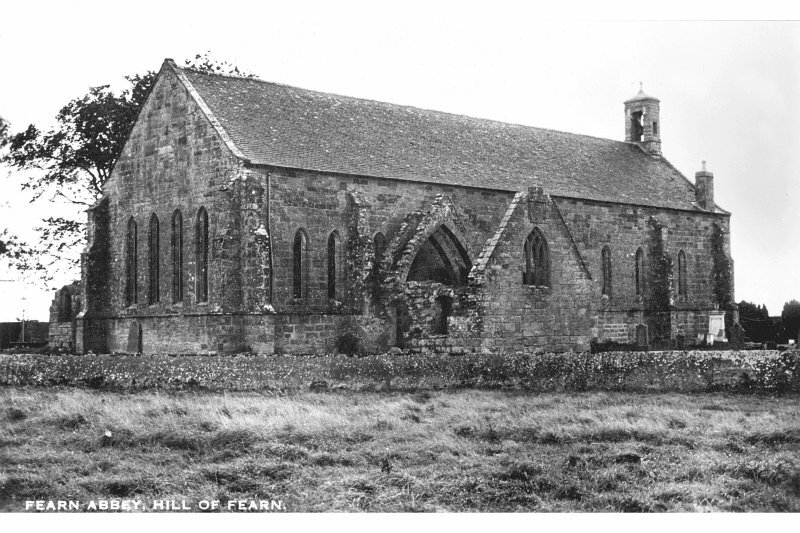 Fearn Abbey. 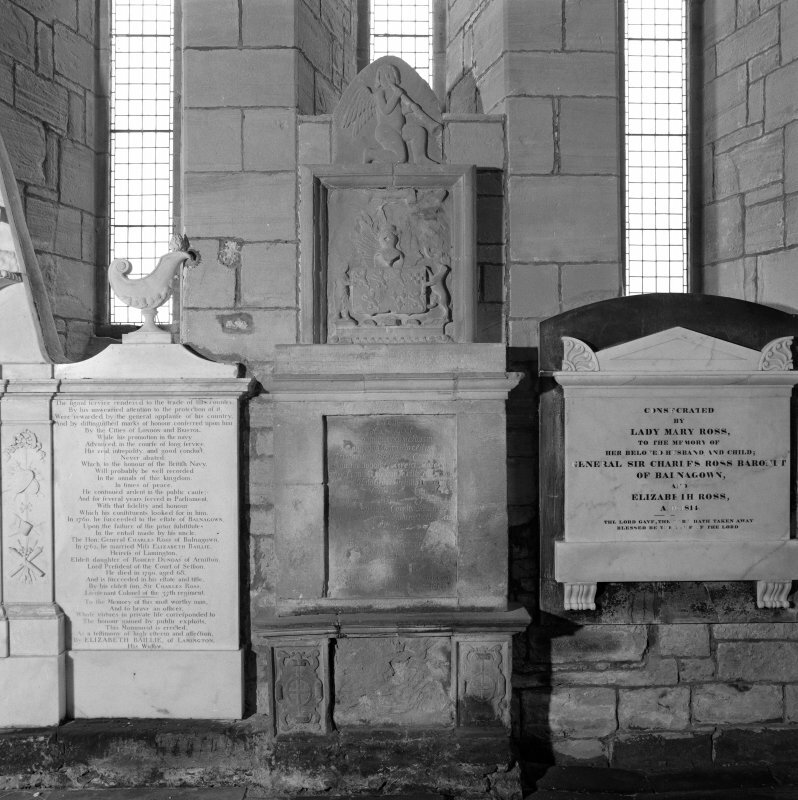 South East aisle, view from South East. 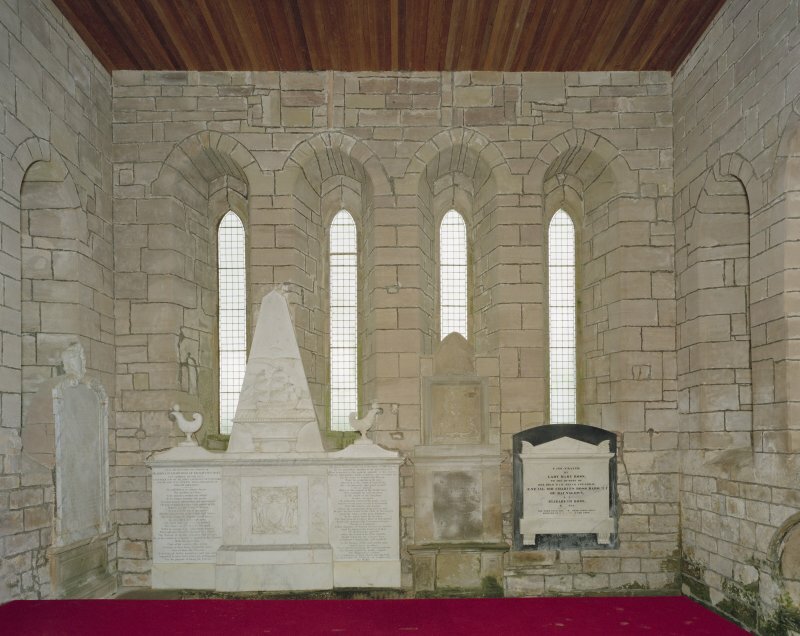 View of monument set in wall beneath window. Fearn Abbey. 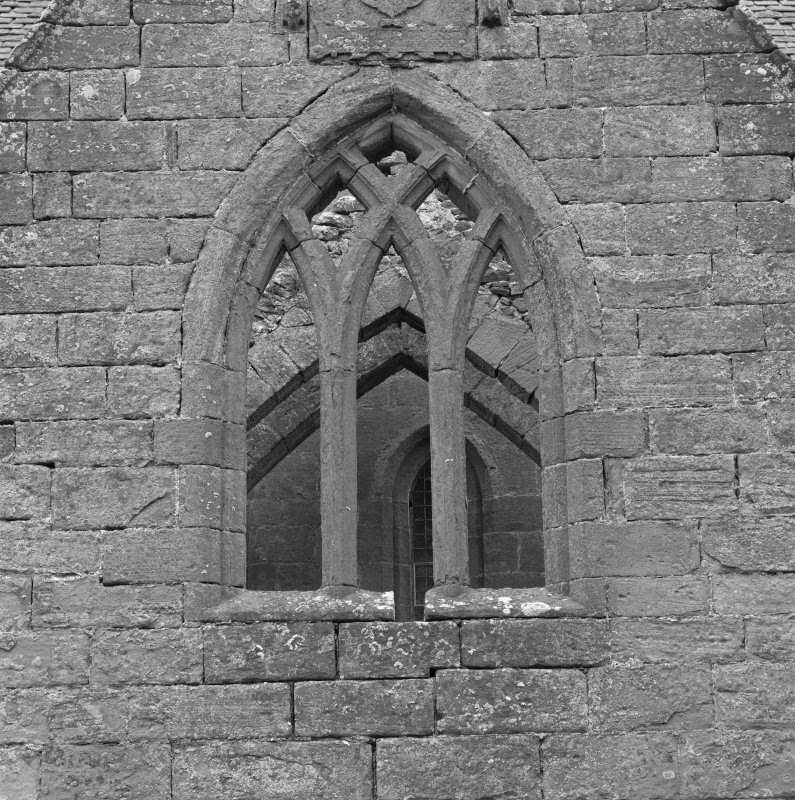 Ross aisle, detail of traceried window, North gable, from South. Fearn Abbey. 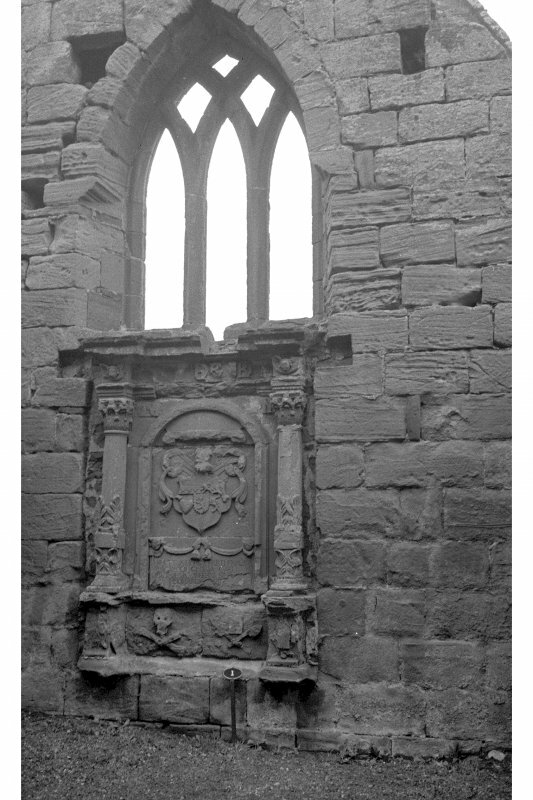 Ross aisle, detail of traceried window, Ross armorial, from North. Fearn Abbey. 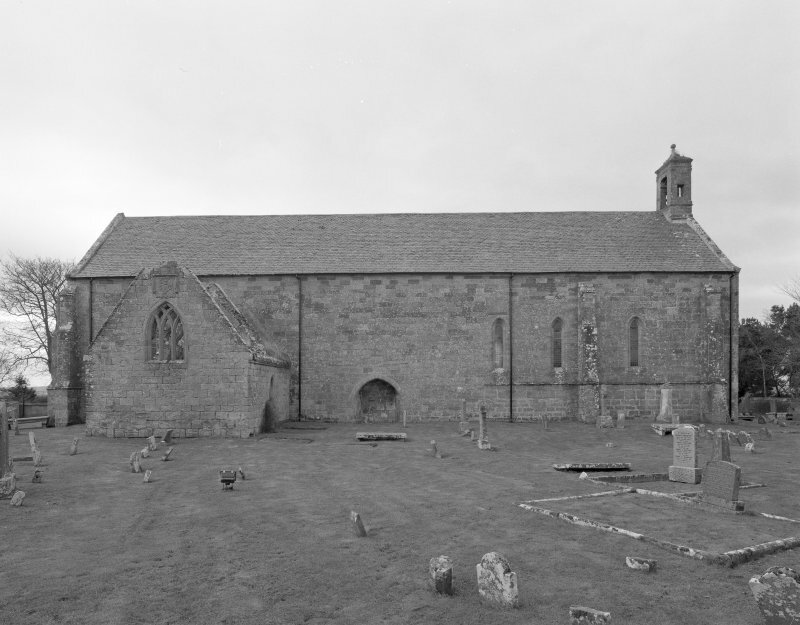 Ross aisle, general view from North West. Fearn Abbey. 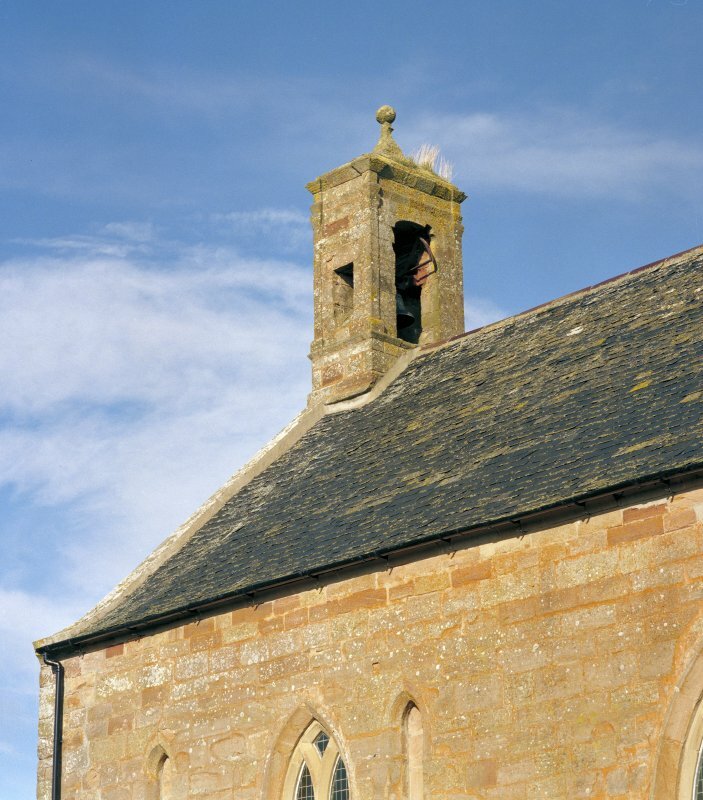 Detail of belcote, West gable, from West. Fearn Abbey. 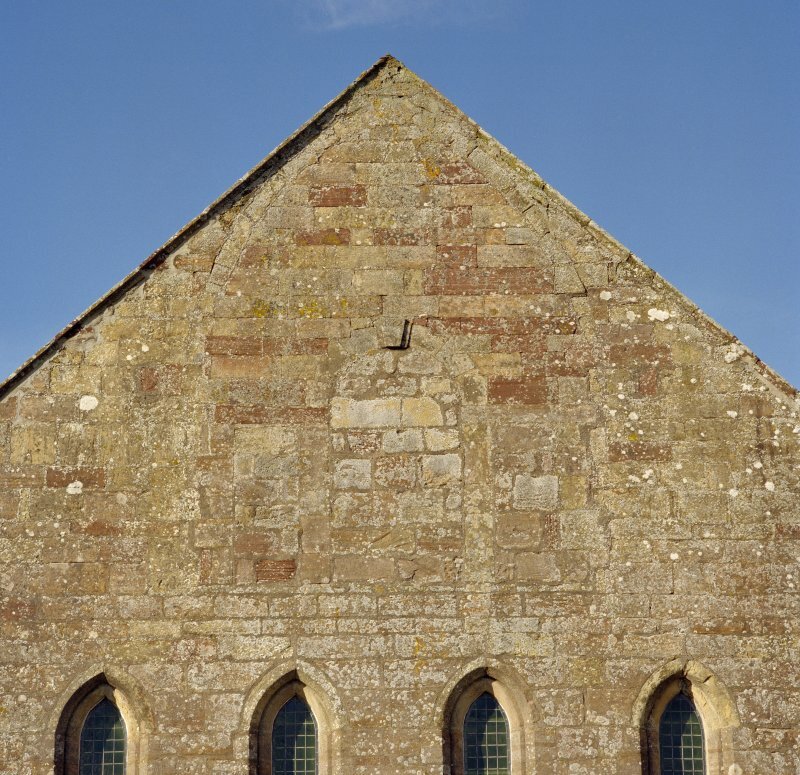 View of East gable showing four lancets and blocked venetian window in apex. Fearn Abbey, interior. View of sedilia from North East. Fearn Abbey, interior. 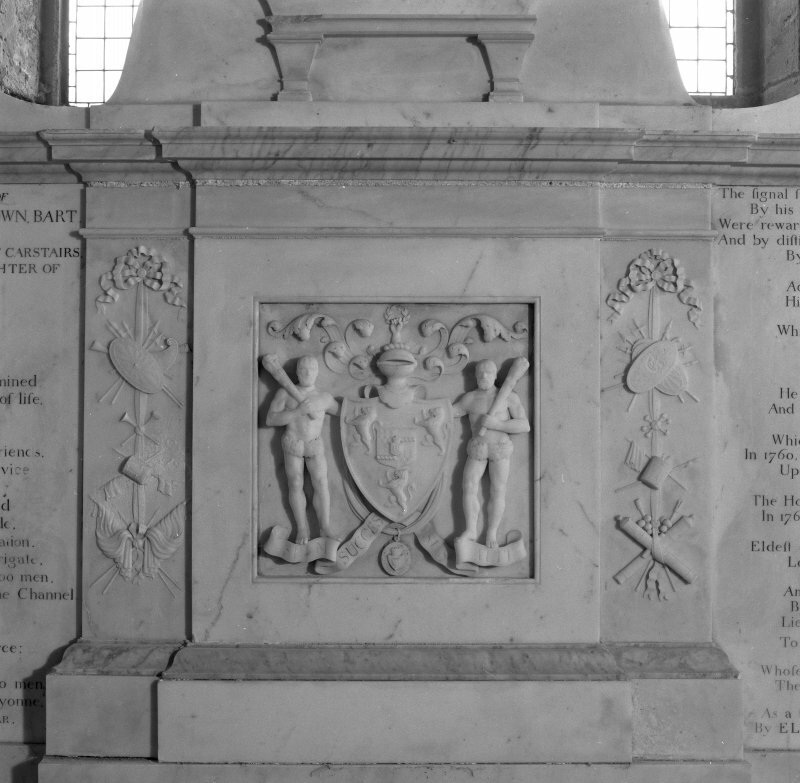 Detail of monument to General Sir Charles Ross. Fearn Abbey. 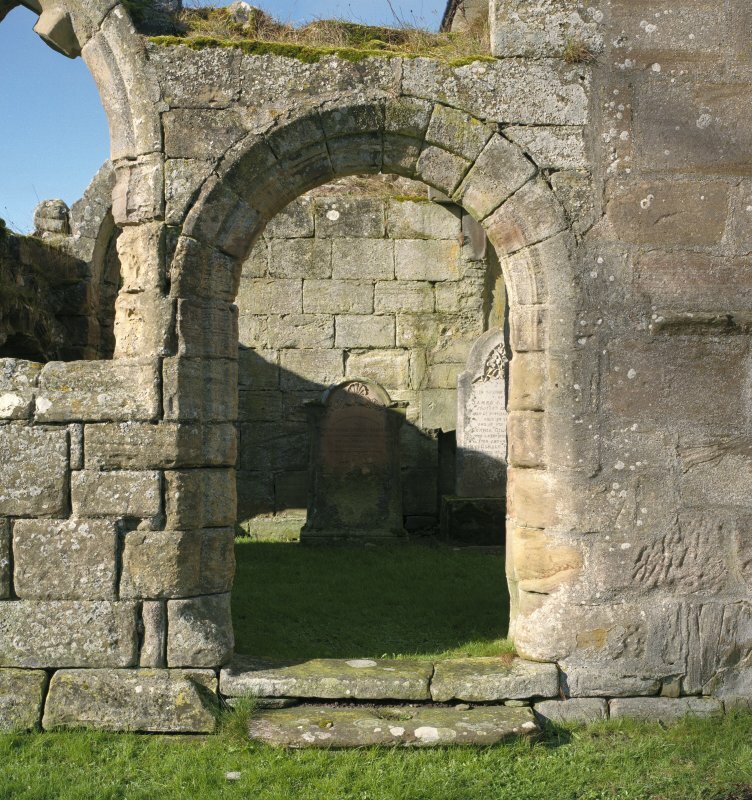 Ross aisle, view of doorway from East. Fearn Abbey. Ross aisle, view of interior from South. Fearn Abbey. 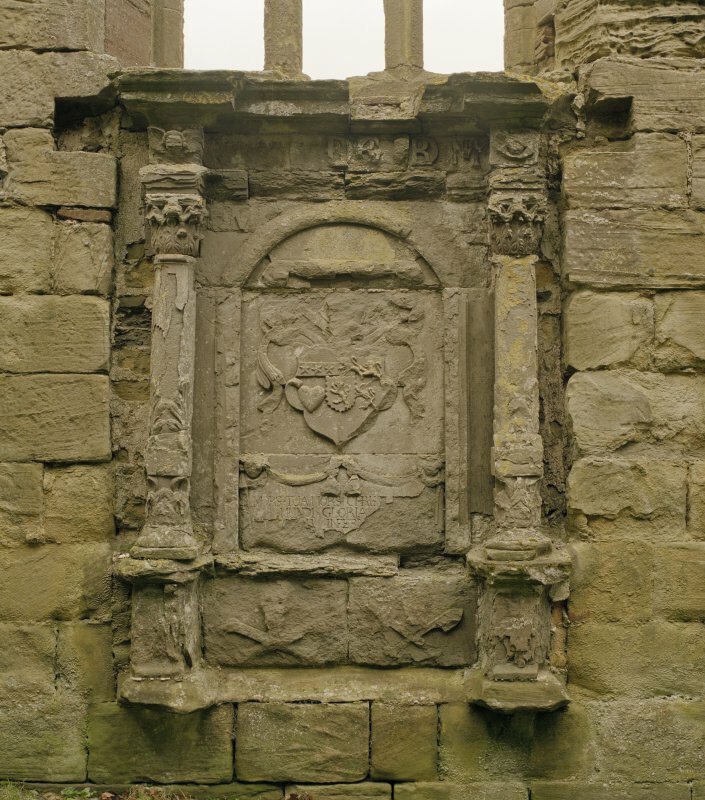 Ross aisle, detail of Ross armorial, North gable. Fearn Abbey. 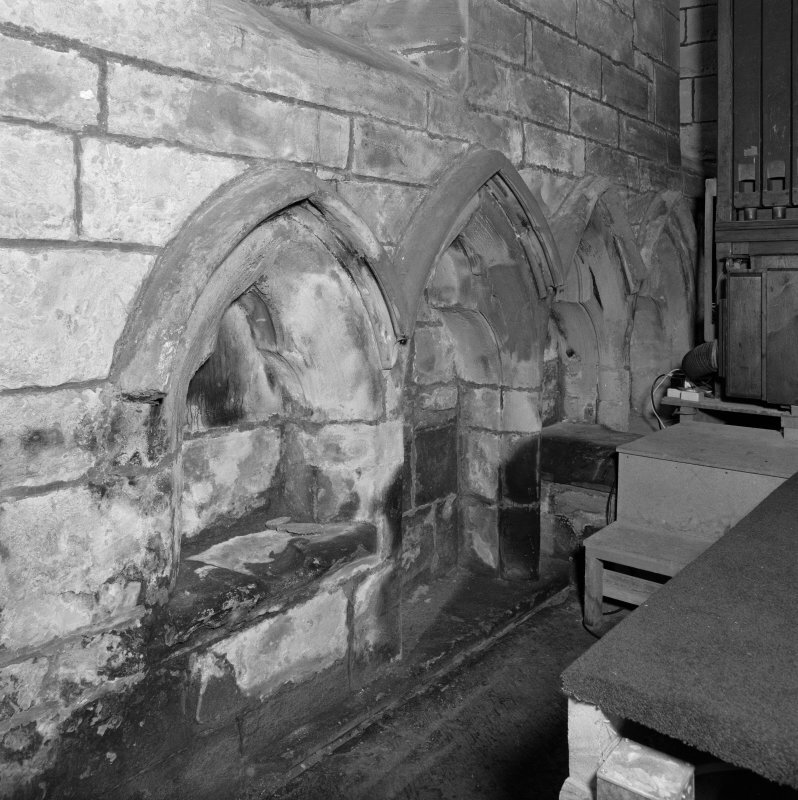 South East aisle, view of tomb recess in South wall from North. Fearn Abbey. 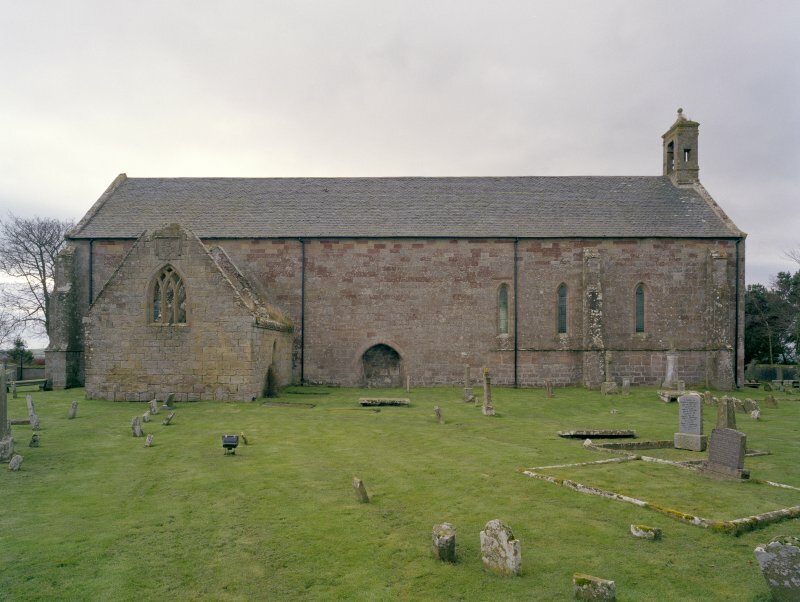 View of St. Michael's aisle from West South West. Survey of seating and layout. 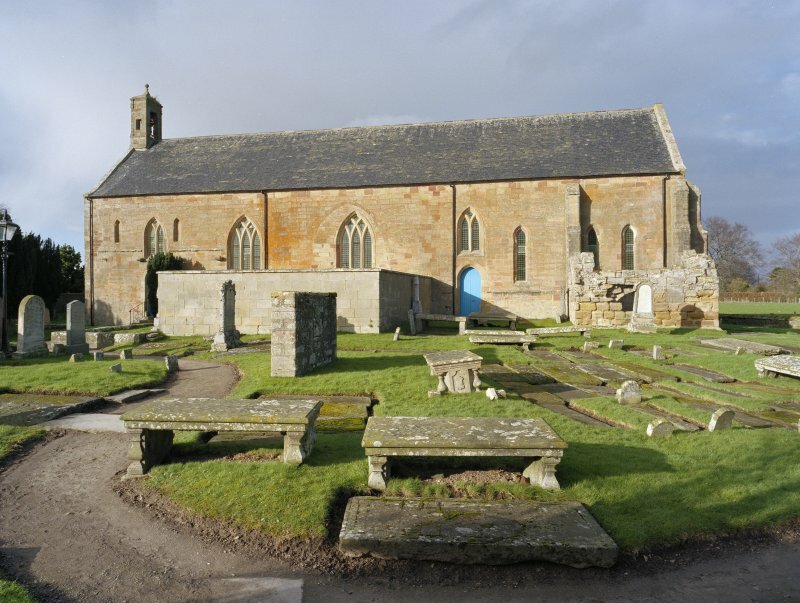 Proposed alterations to layout of church. Fearn Abbey. 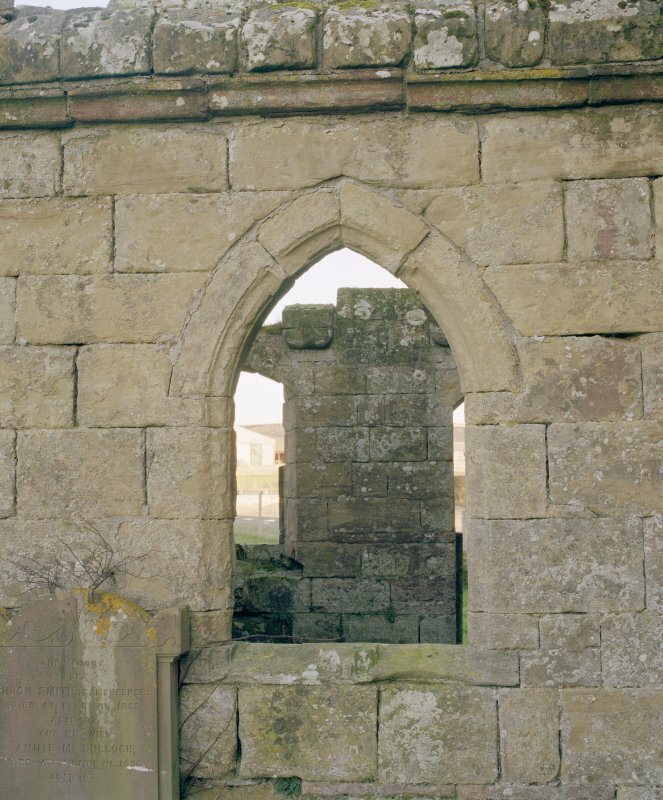 Ross aisle, detail of West window from West. Fearn Abbey. 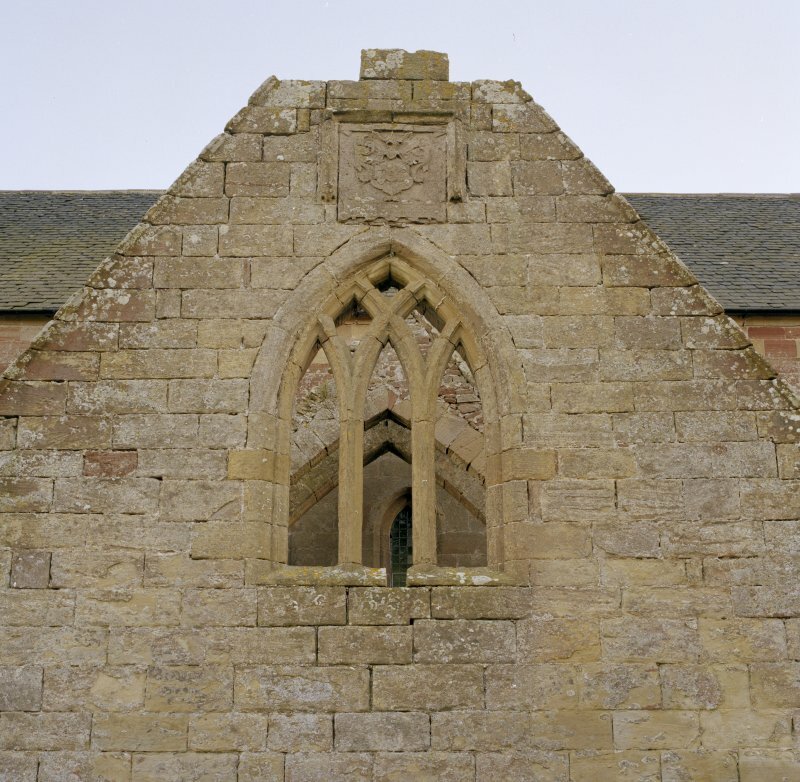 Ross aisle, view of traceried window and ross armorial, North gable. Fearn Abbey. South East aisle, detail of West window from West. Fearn Abbey. 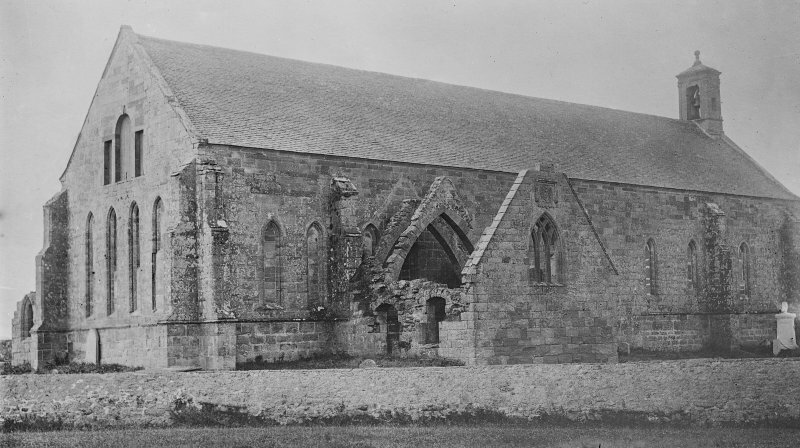 South East aisle, view from South West. 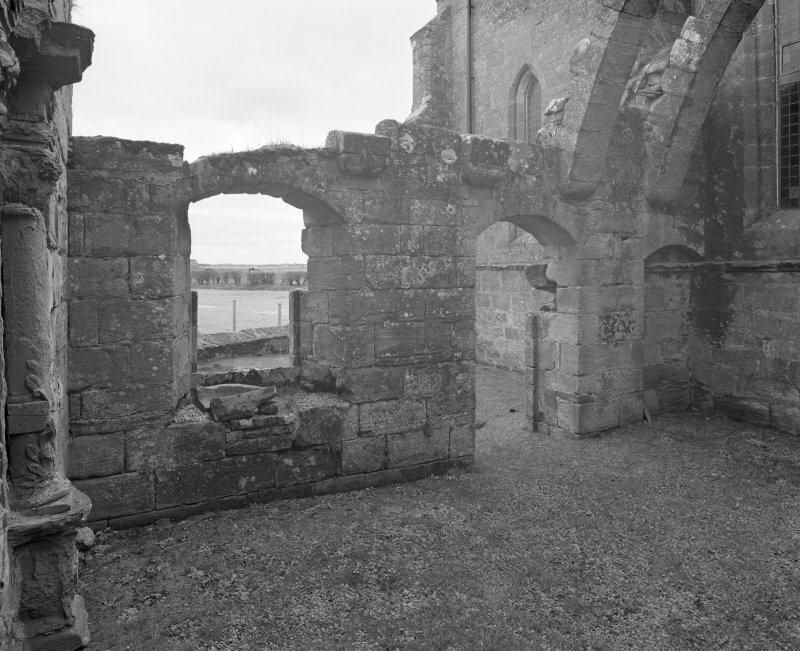 Fearn Abbey, interior. 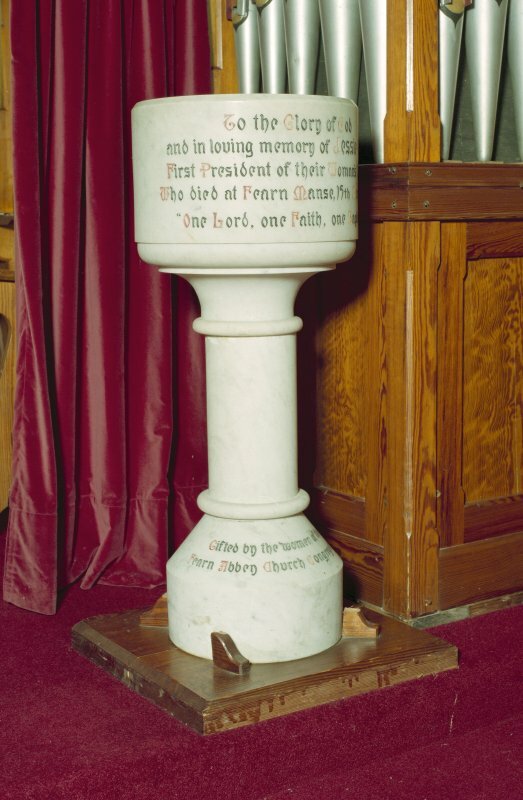 Detail of font. Fearn Abbey. 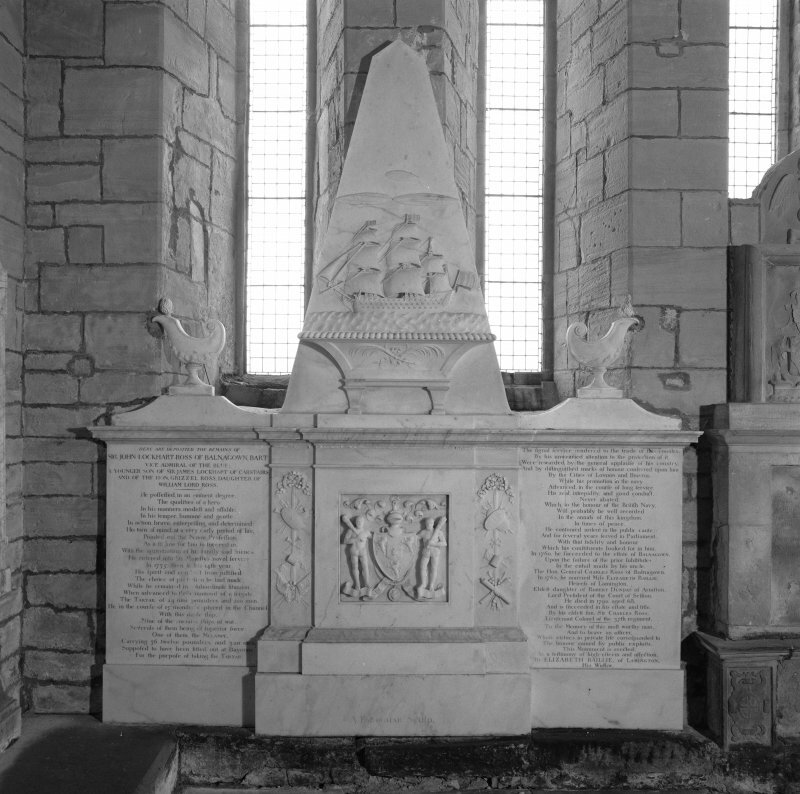 Ross aisle, view of Ross monument, North wall. Fearn Abbey. 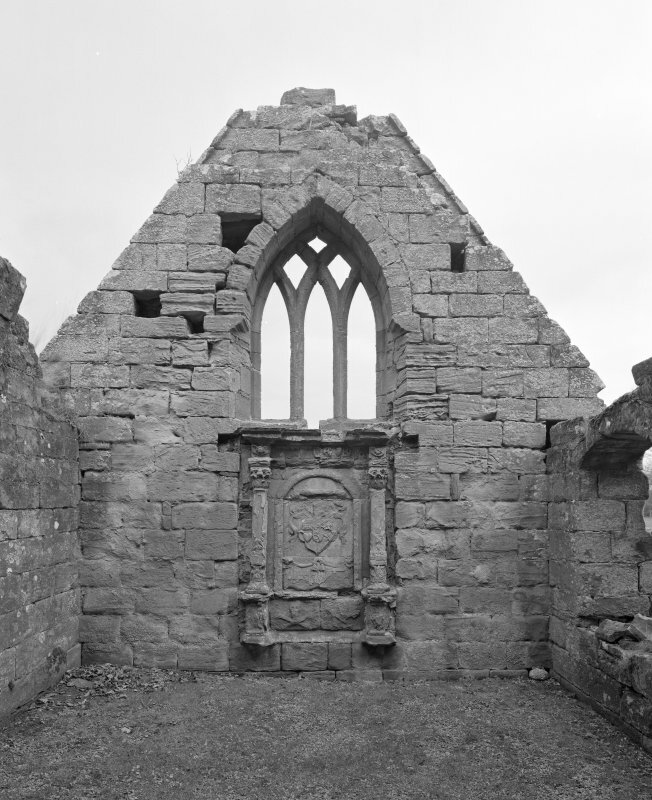 South East aisle, view of West window from West. Fearn Abbey. 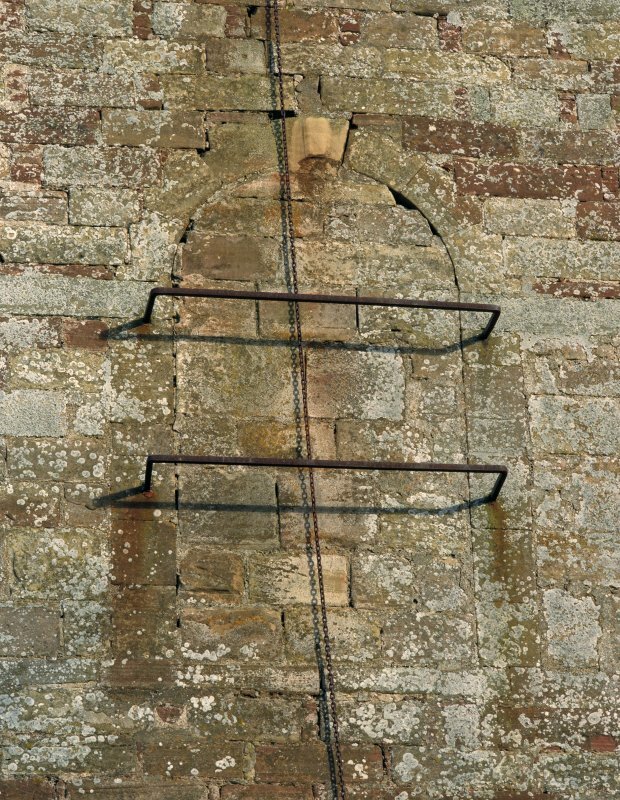 Detail of blocked window and bell chain on West gable. Fearn Abbey. 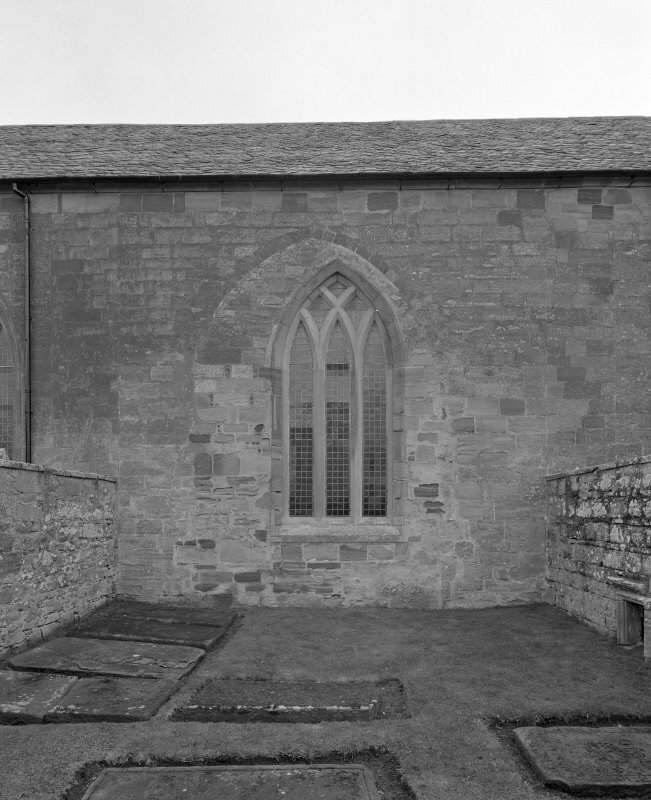 Detail of belcote, West gable, from South East. Fearn Abbey. View from East. Fearn Abbey. 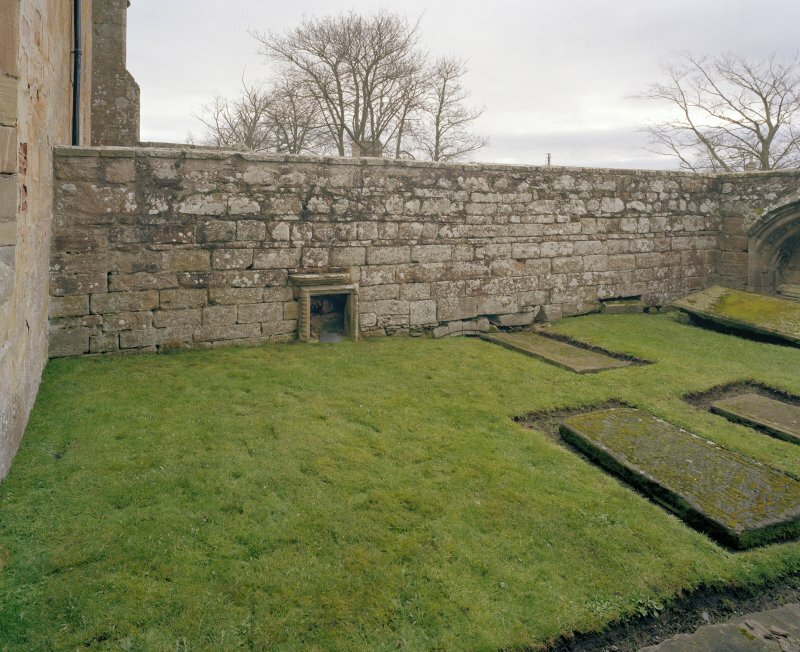 View of West end of South wall from South East. 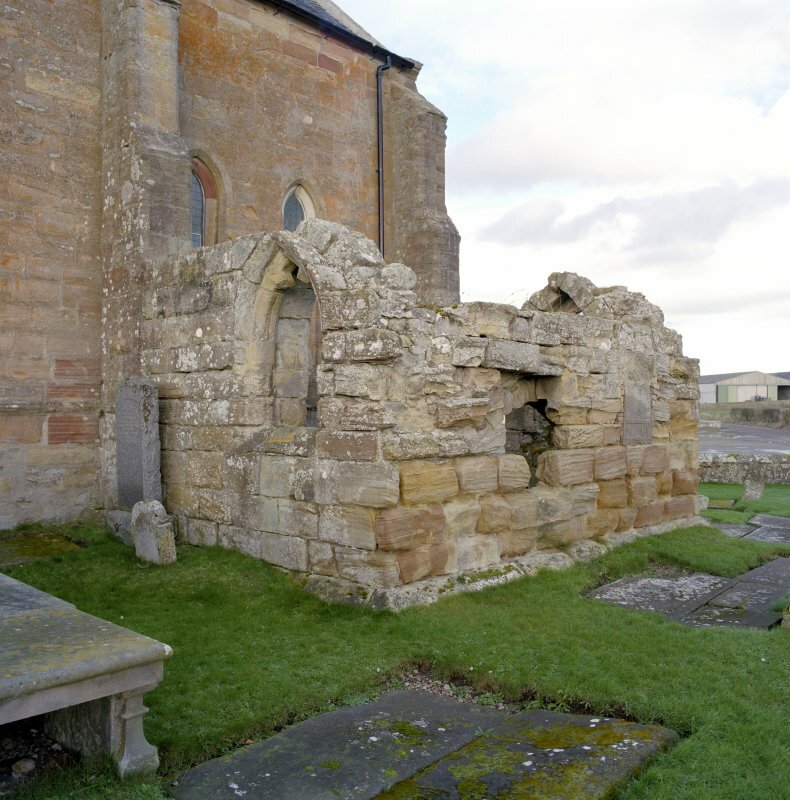 On Site of (NAT) Abbey (NR). OS 6" map, Ross-shire, 2nd ed., (1907). 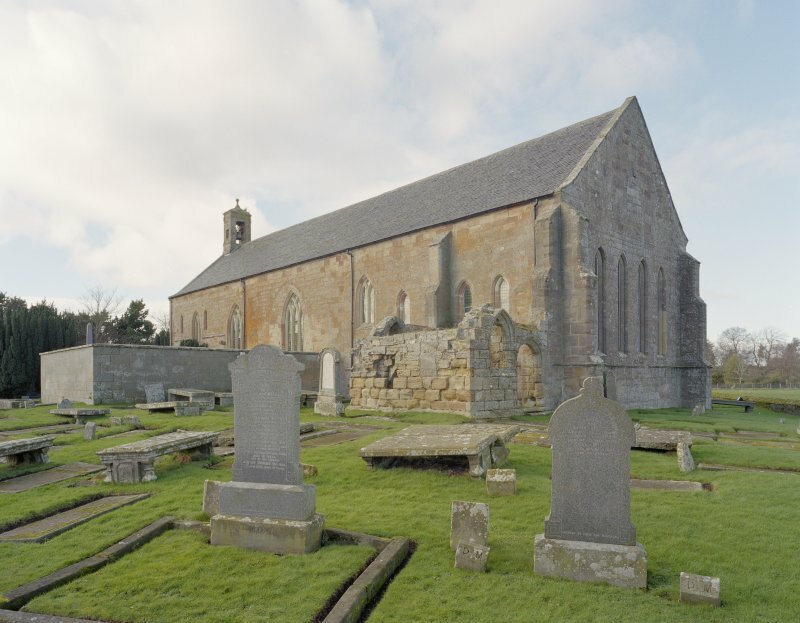 The Premonstratensian Abbey of Fearn was originally founded 1221-2 or c.1227 at Edderton on the Dornoch Firth by Farquhard, Earl of Ross, but was transferred to a more suitable site in Tarbert (now Fearn parish) c.1238. This is about 10 miles SE of the original site. 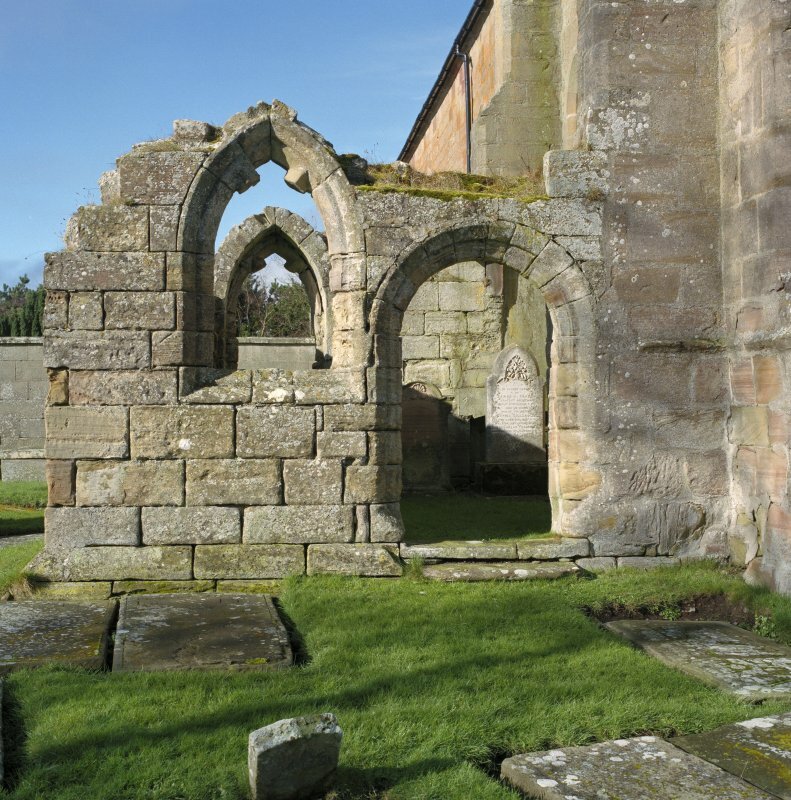 Re-building took place from 1338 to 1372 and again in the 15th century. 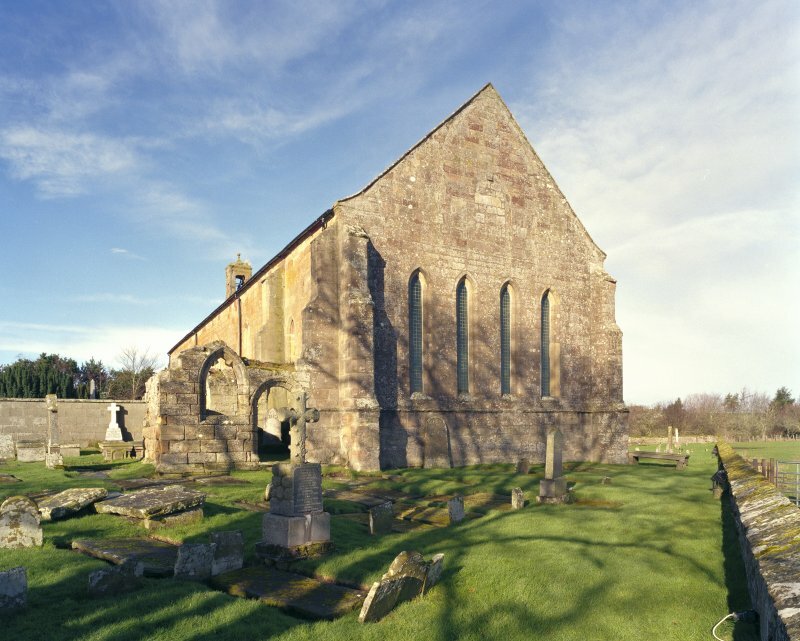 It was annexed to the bishopric of Ross, in parliament, 1609. 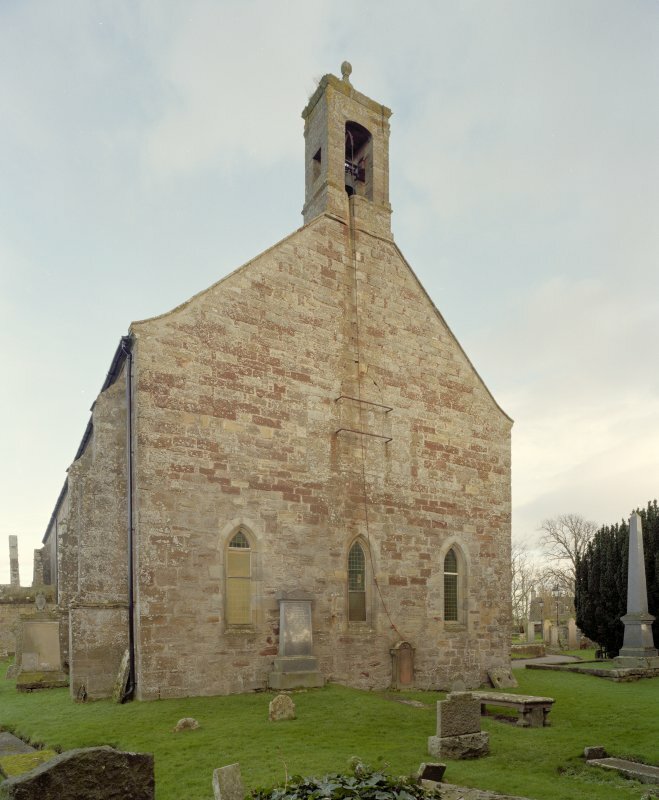 The church is a simple oblong structure, and part of it is still used as the parish church. It has been much patched and altered. All traces of domestic buildings and cloister have now gone. D MacGibbon and T Ross 1896-7; D E Easson 1957. 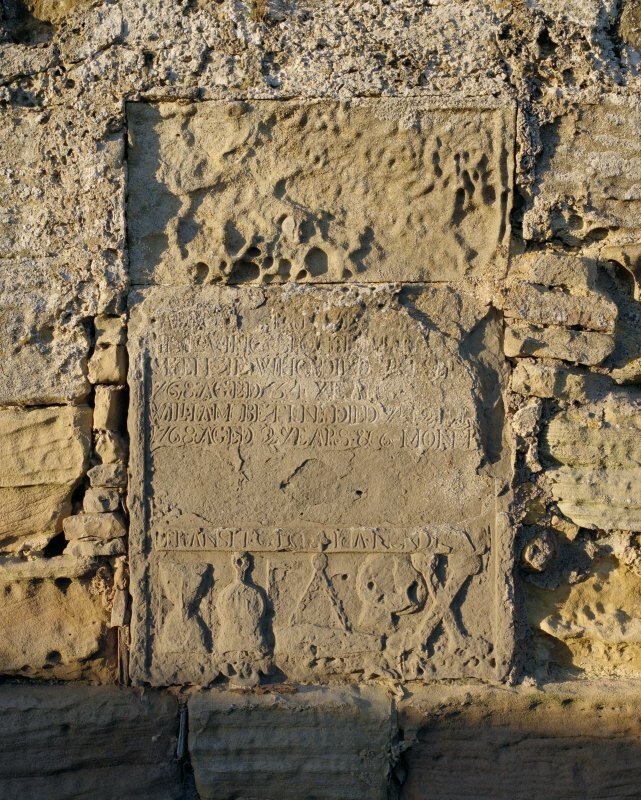 NH 837 773: Early monastic establishment of Nova Ferna. Information from Dark Age Index by C W Phillips. 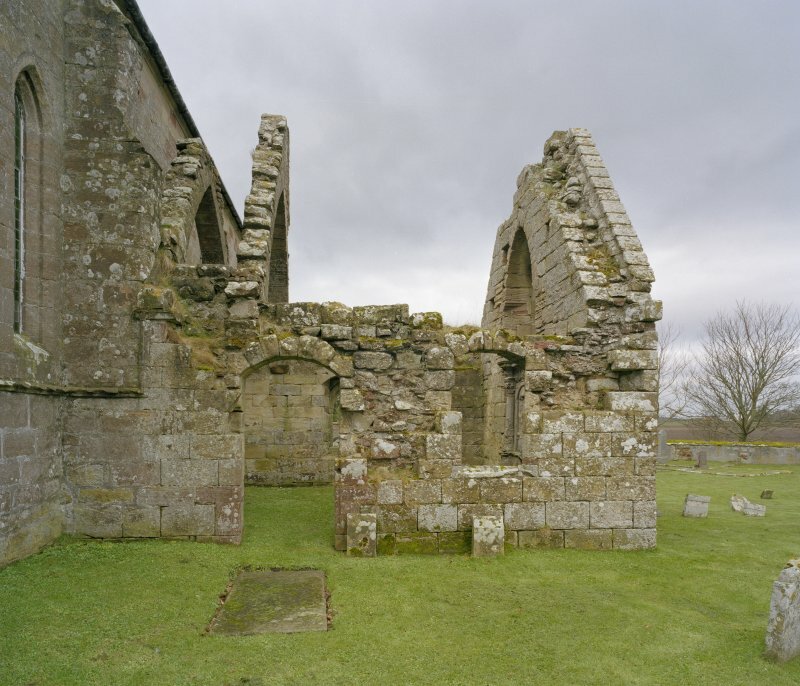 The remains of Fearn Abbey are generally as described and illustrated. 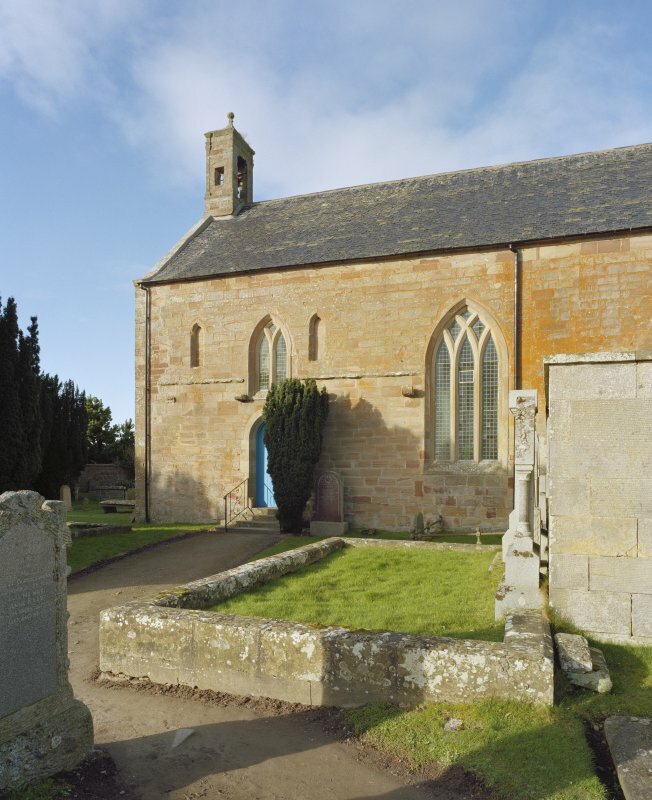 It is still used as the Parish Church. 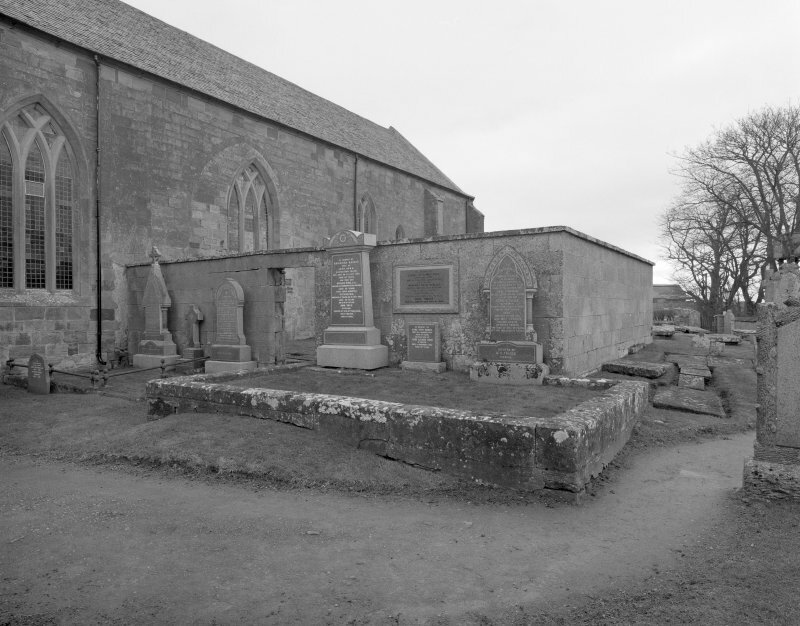 Visited by OS (I S S) 29 August 1972. 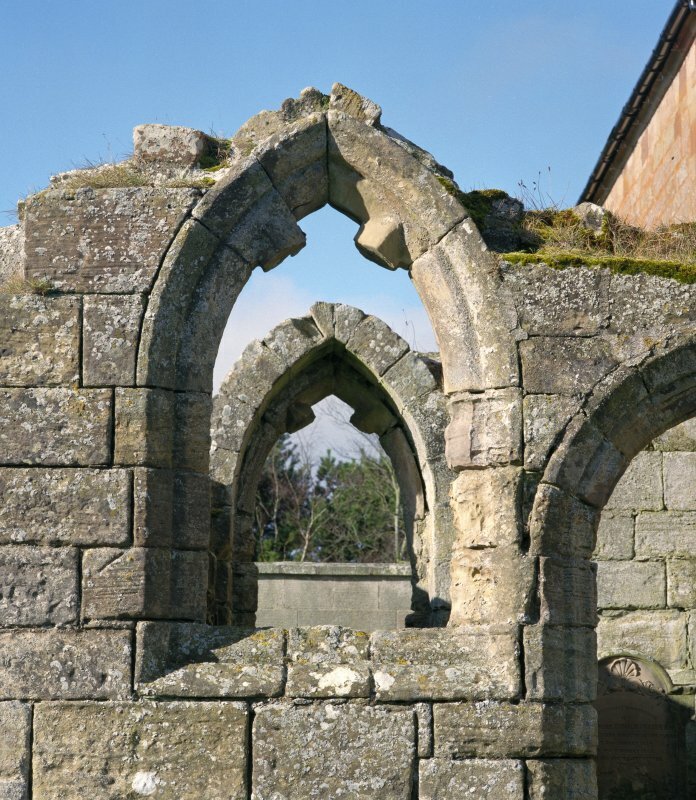 NH 8373 7728 An archaeological watching brief was conducted at Fearn Abbey (NMRS NH87NW 1) to monitor any potential impact arising from the installation of services around the church and in the cemetery, and to record any archaeological features or material encountered. 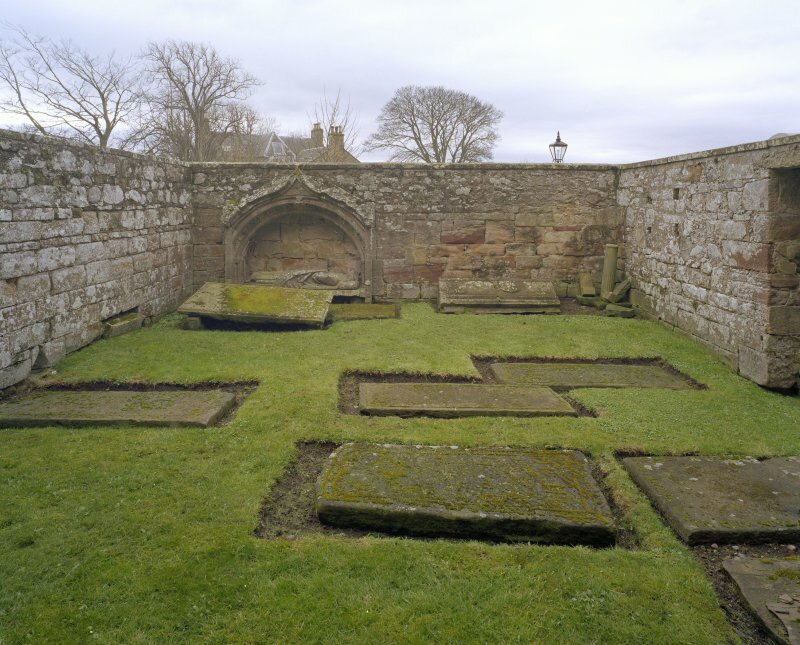 Some evidence for structural and other activity, potentially as early as the medieval period, was encountered. 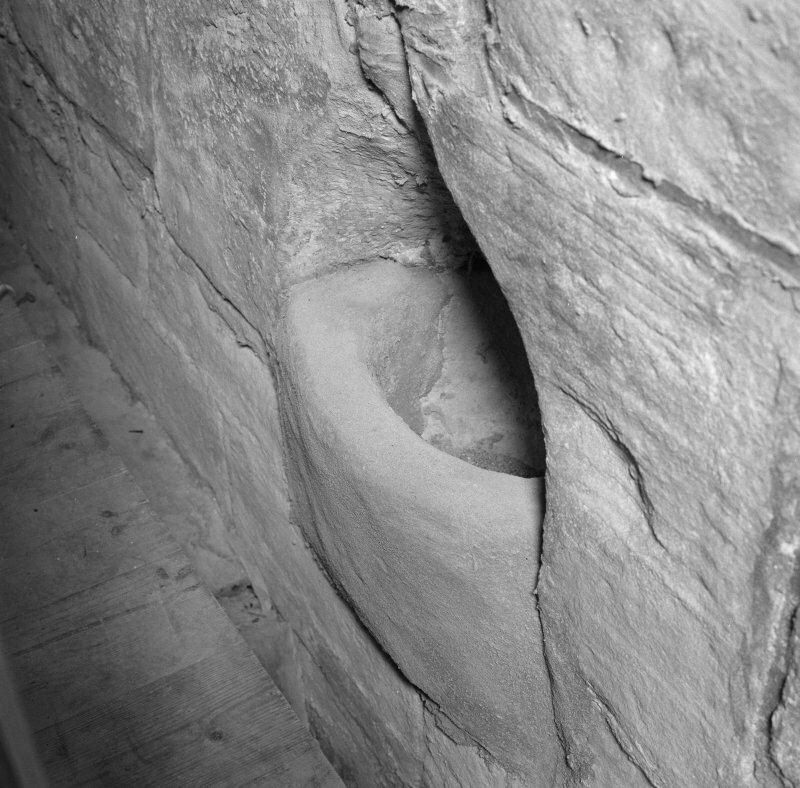 No in situ burials were disturbed during the fieldwork, although as anticipated a quantity of disarticulated human bone was encountered, some of which was lifted and retained. (GUARD 959). Sponsors: LDN Architects, Heritage Lottery Fund. I G Lindsay Collection, W/323. 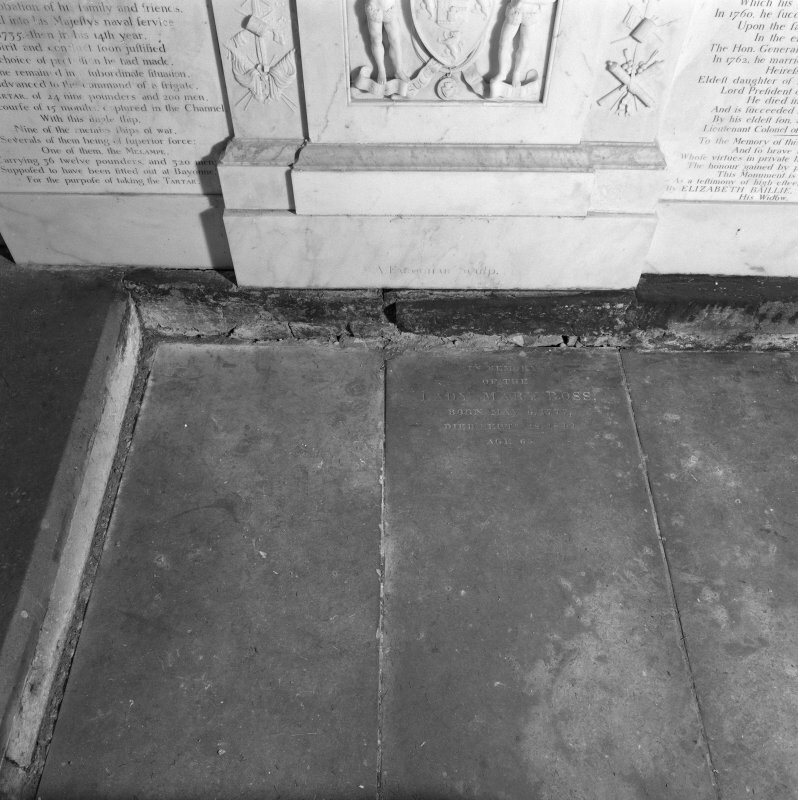 Report on the condition of the Church by Hugh Fraser with condemnation of the floor which is sinking, blocked up windows in the North wall and galleries which are useless. 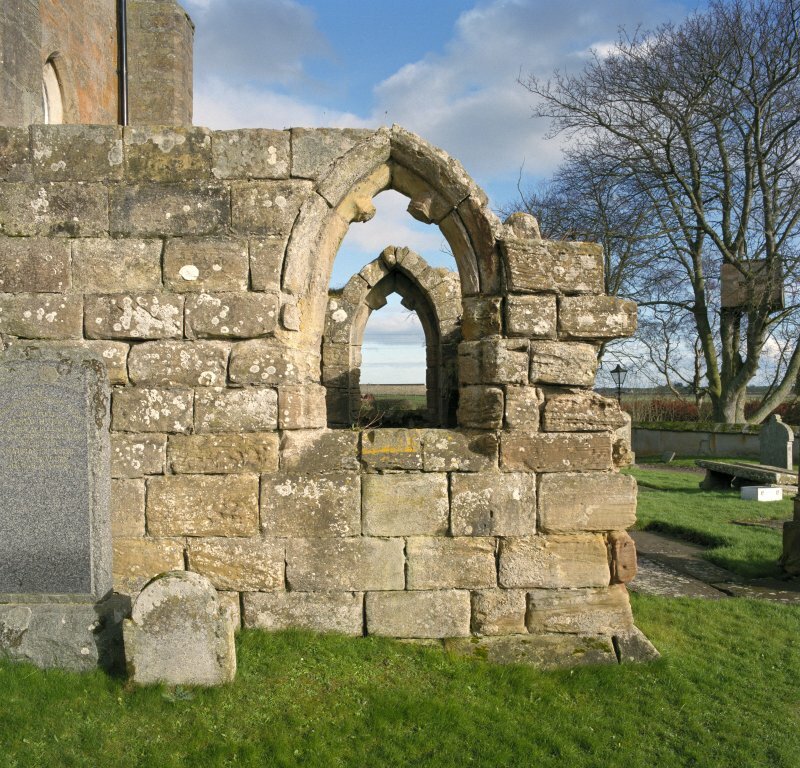 Report of storm damage to the window in the West wall of Fearn Church. 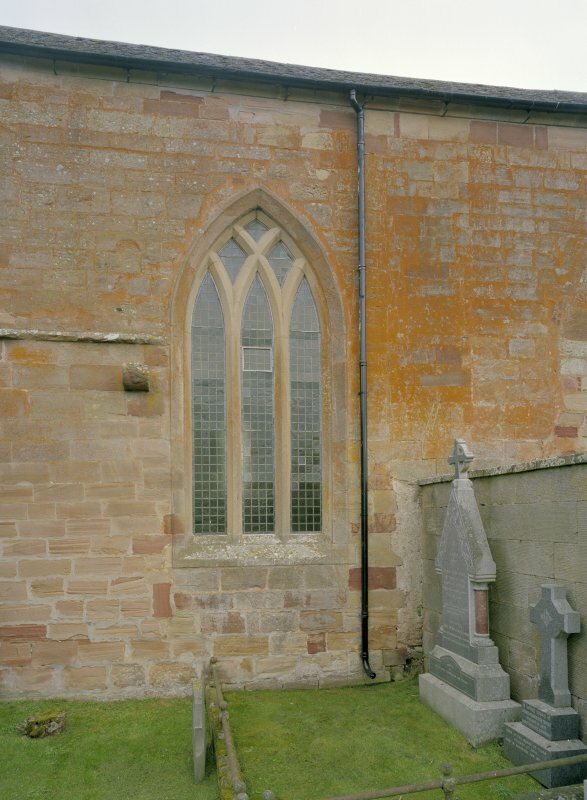 Request for payment of account for the new window put in the Church of Fearn by John Chisholm. 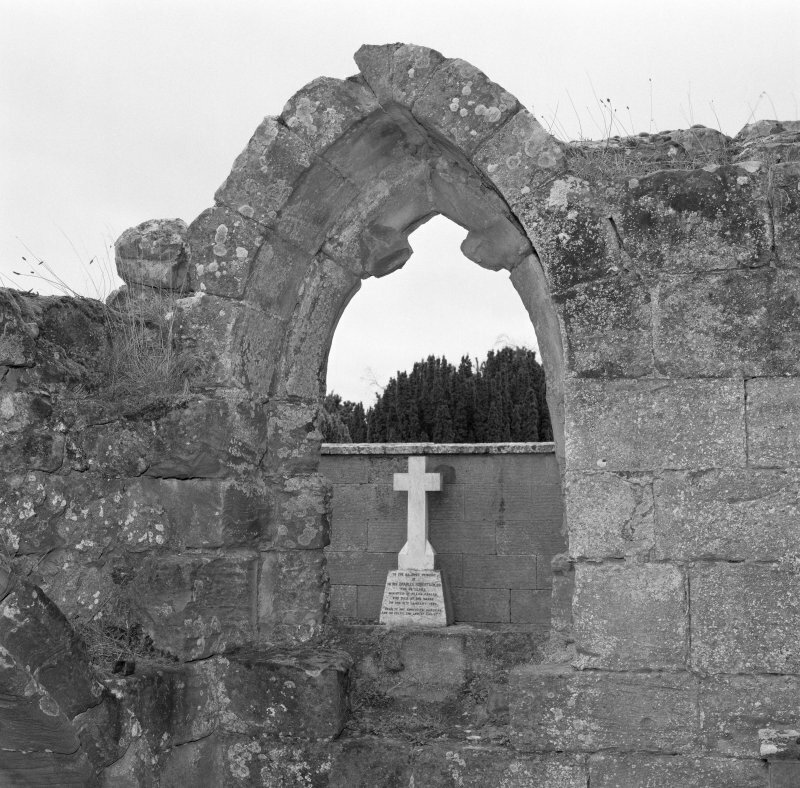 Report on the condition of the Abbacy Church and of the New Church. 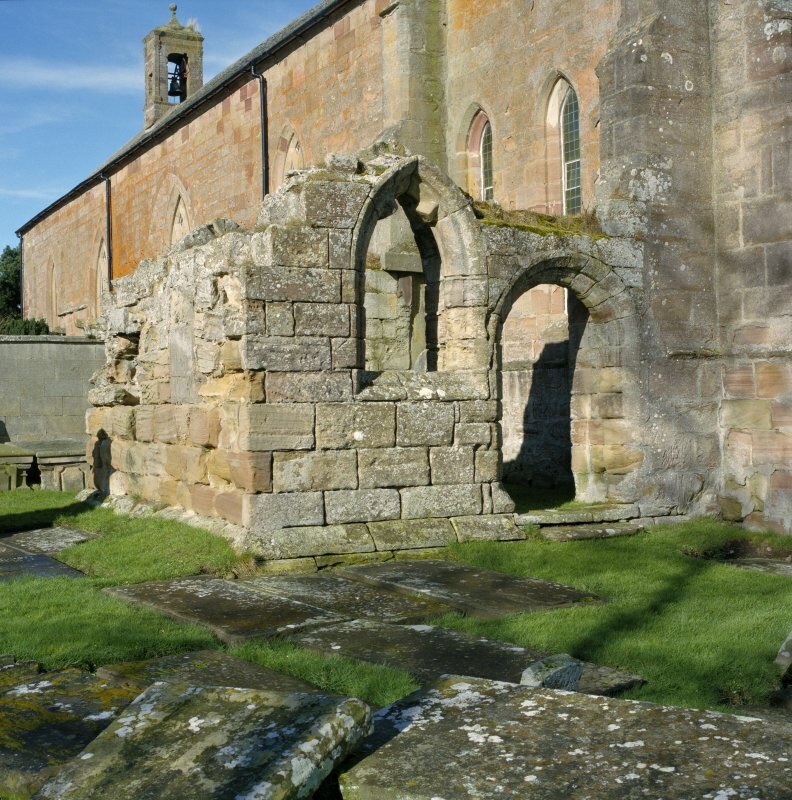 Decision by the Heritors to repair the Old Abbacy Church. 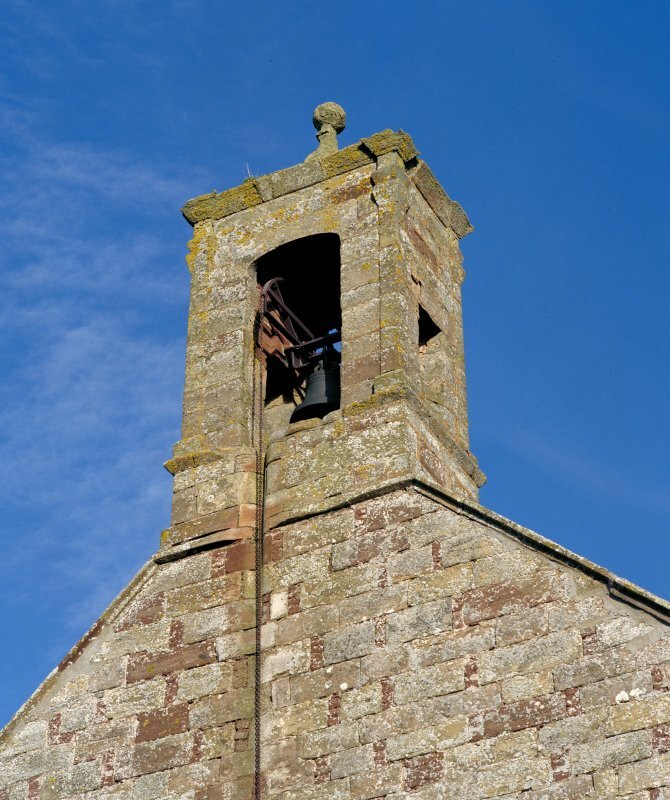 Slating of the Church of Ferne. Discharge by John Ross, slater in Dunrobin. Advocates' MS 29.4.2(xi), ff.225-300 passim. Advocates'MS 30.5.23, 130a-b and 131. 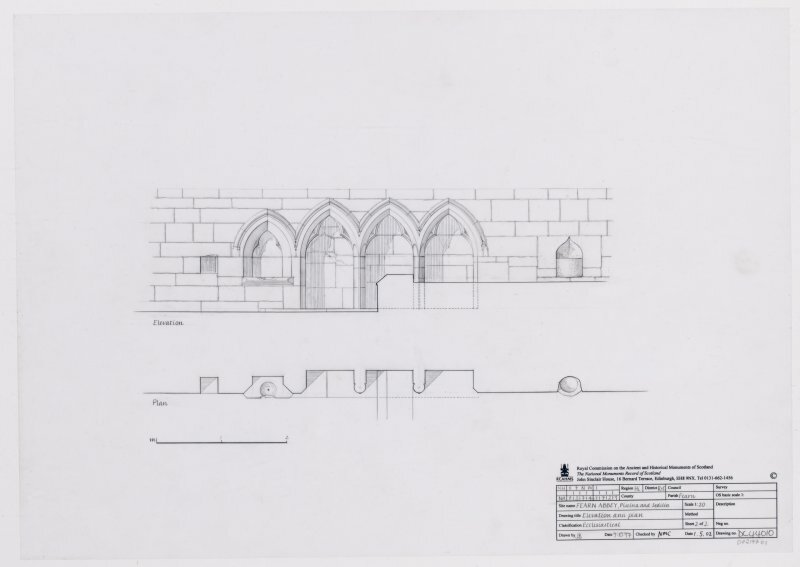 The National Library of Scotland, Edinburgh contains, among the "Uncatalogued MSS of General Hutton" and numbered 131 and 132, Vol 1, a plan of this Abbey Church, By James Shand, dated 1815, and to a scale of 10 feet to an inch; and another and more eleborate plan, also dated 1815. The situation is 2 miles inland from the North shore of the Moray Firth. 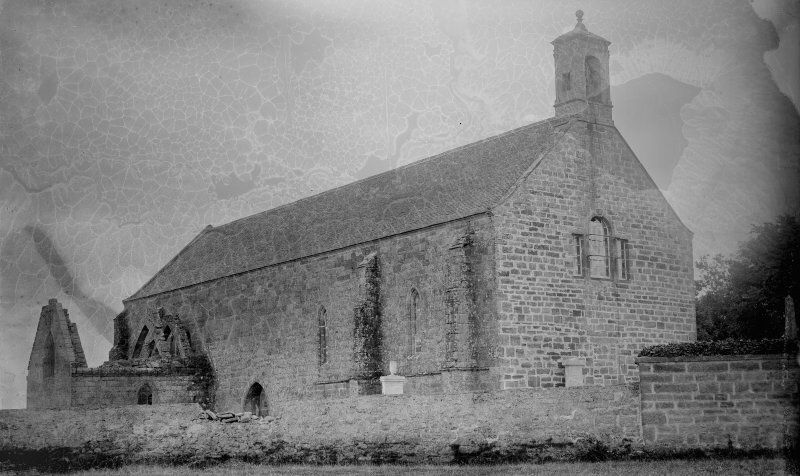 Once an extensive Abbey, and later, till 1742, answered as the Parish Church.